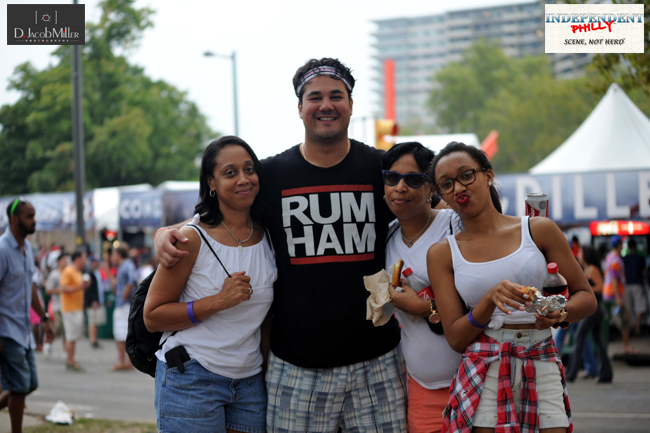 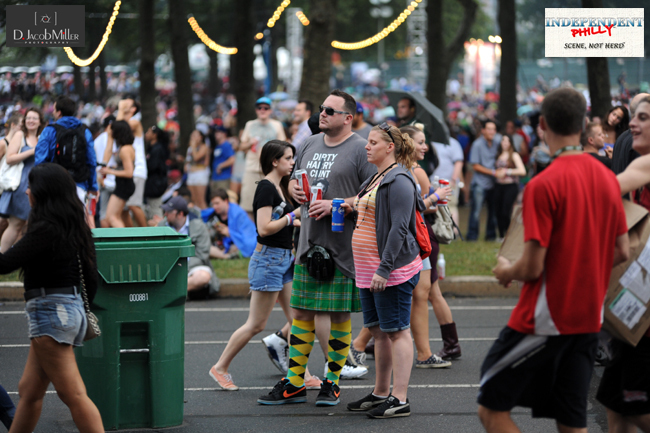 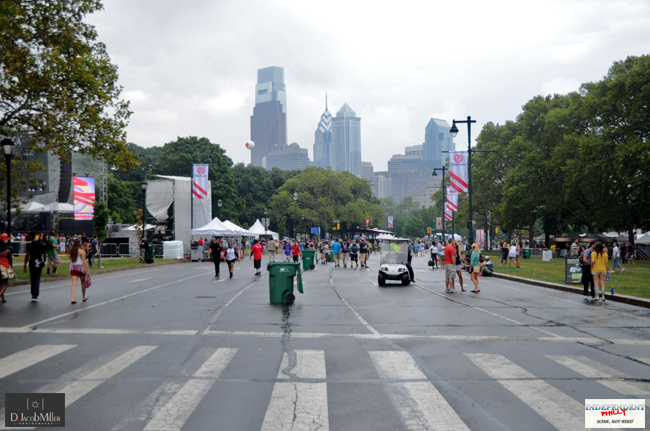 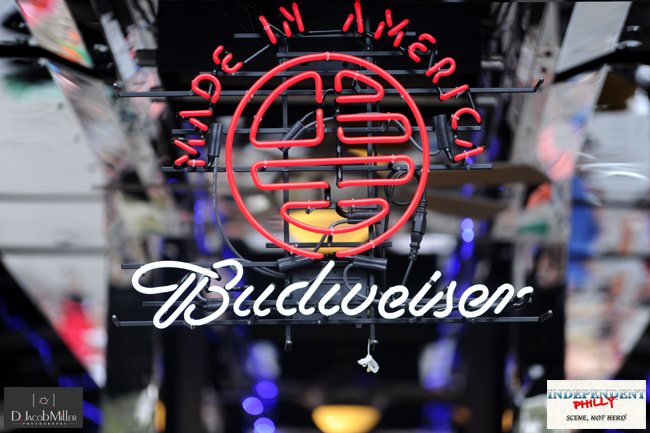 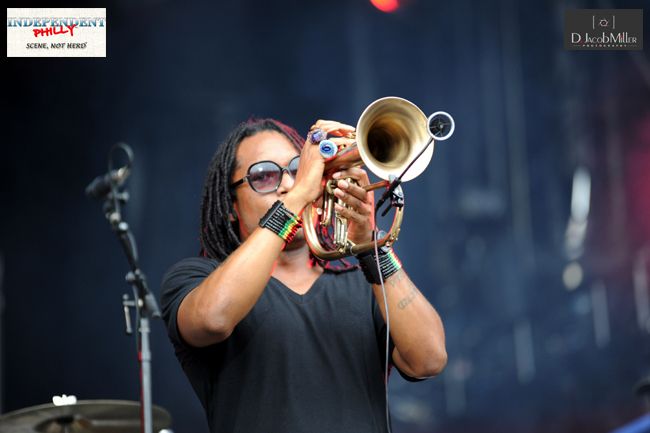 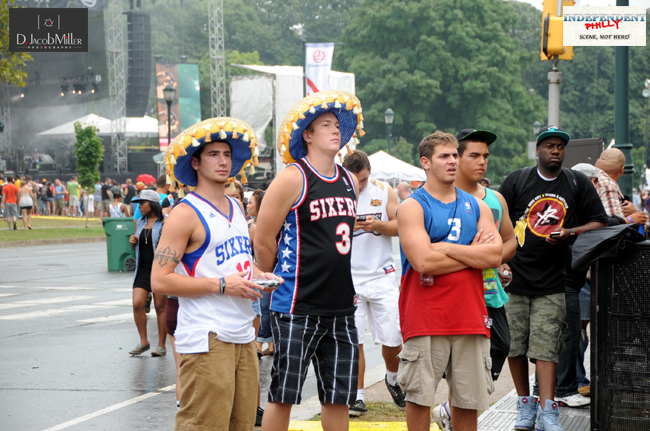 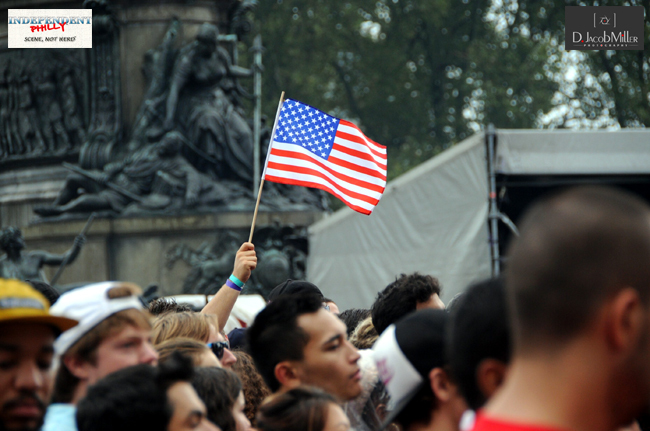 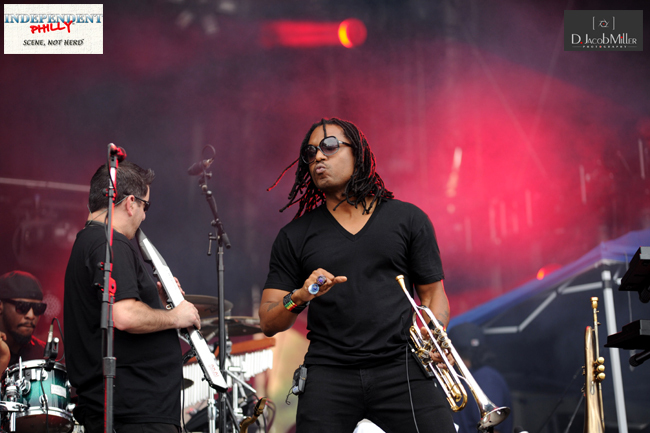 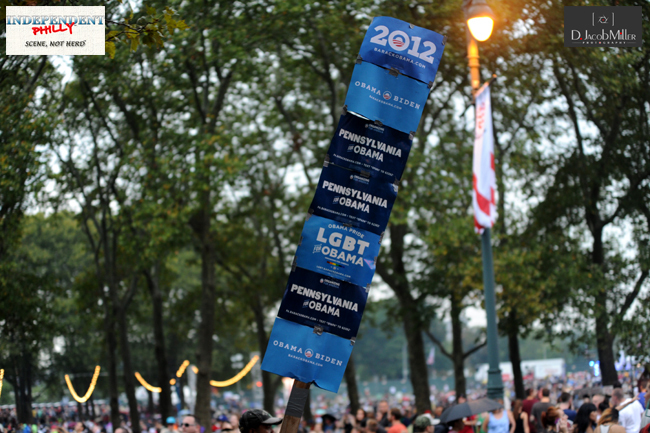 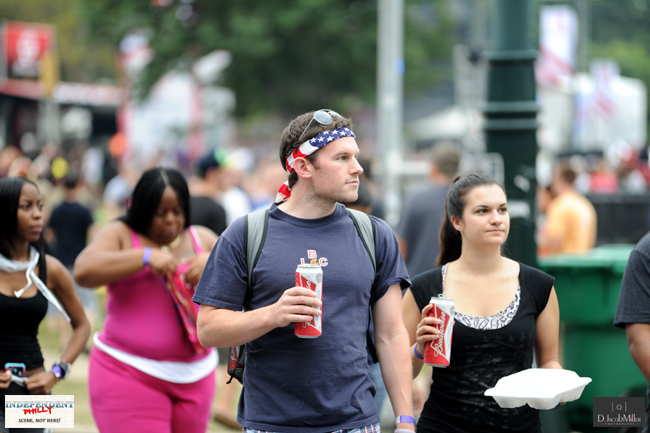 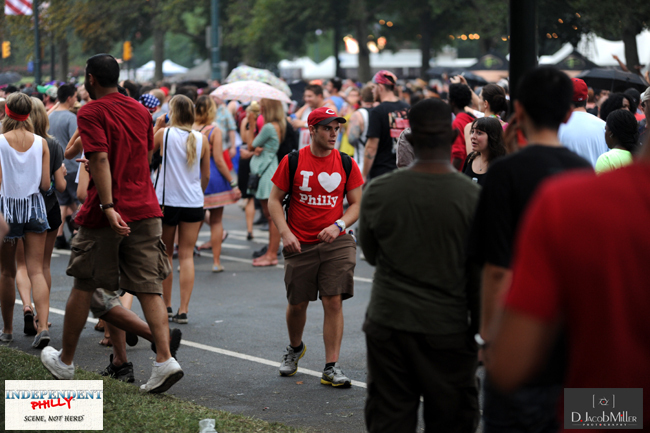 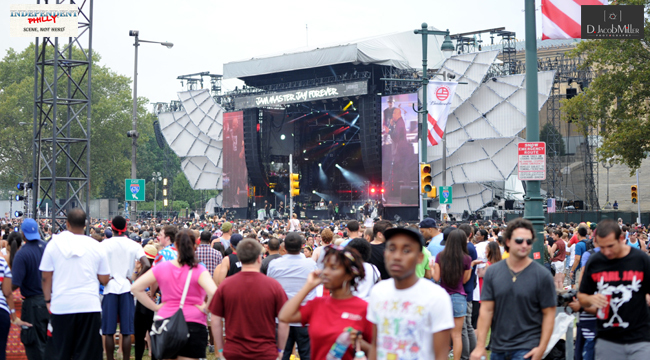 Day 2 of Budweiser Made in America kicked off on the Ben Franklin Parkway on Sunday, September 2nd under less than ideal conditions. 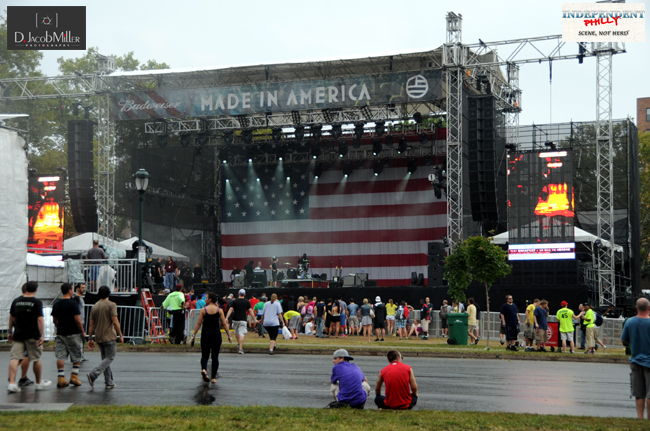 It was already drizzling when the gates opened and throughout the day the precipitation oscillated between rain, drizzle, and a damp mist. 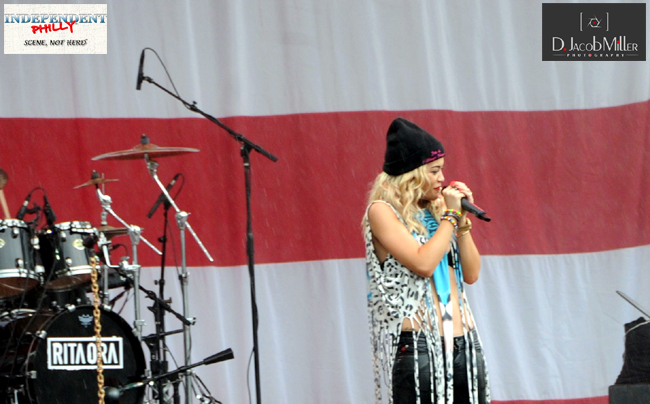 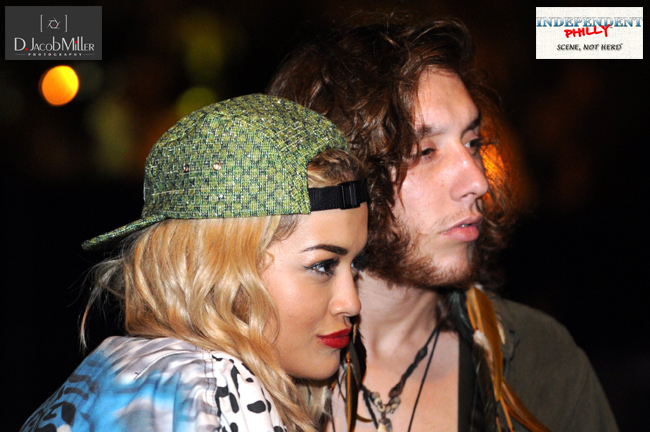 We started off our day by catching Rita Ora on the Liberty Stage. 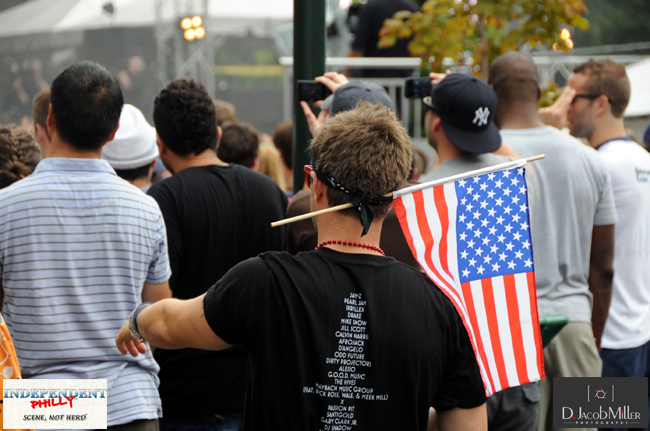 It was her first time performing at a festival in the United States and we wanted to make sure we caught at least a few minutes of it. 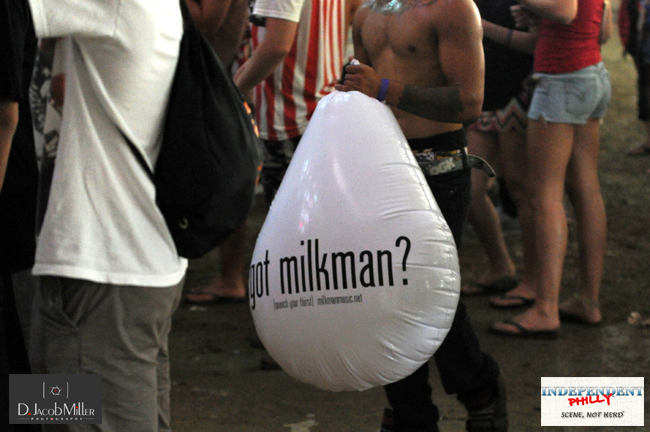 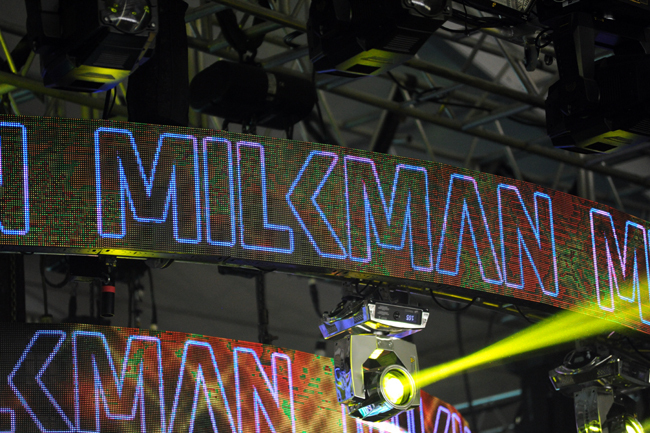 Next we dashed off to the Freedom tent to catch the end of Milkman’s set. 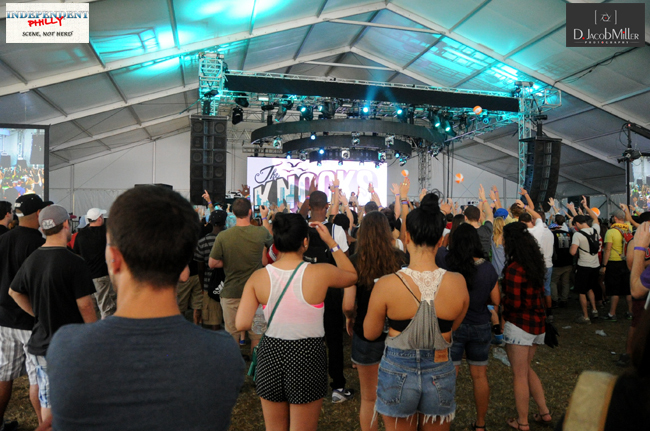 The tent already had a decent crowd when we got there but sadly it emptied out a bit between Milkman and The Knocks as fans headed over to the Rocky Stage to catch Santigold. 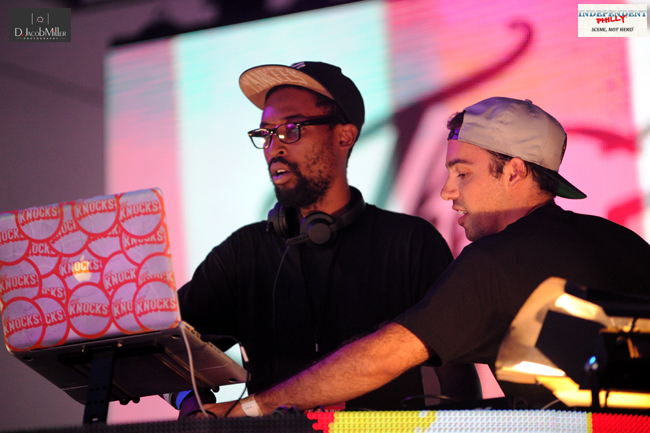 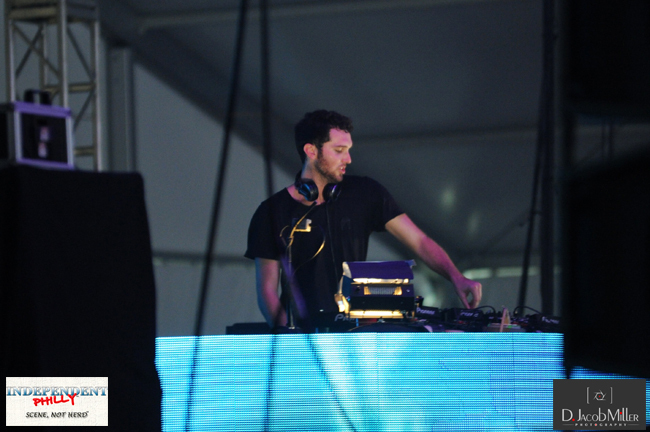 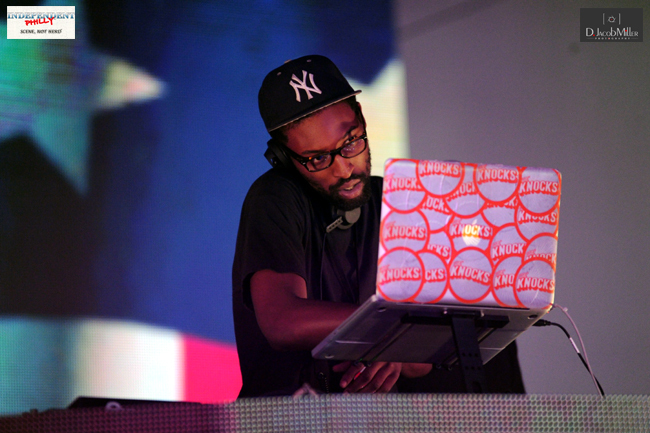 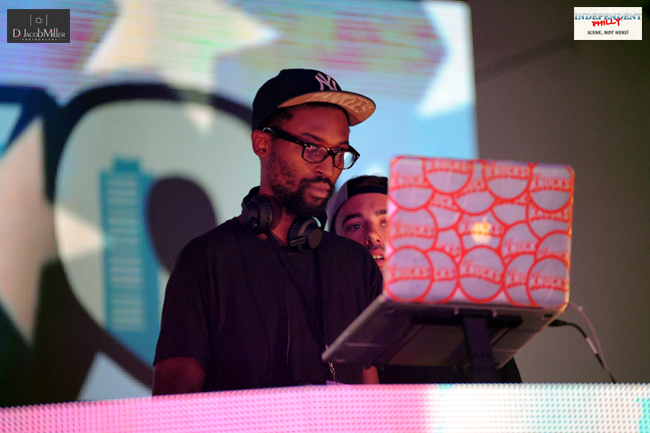 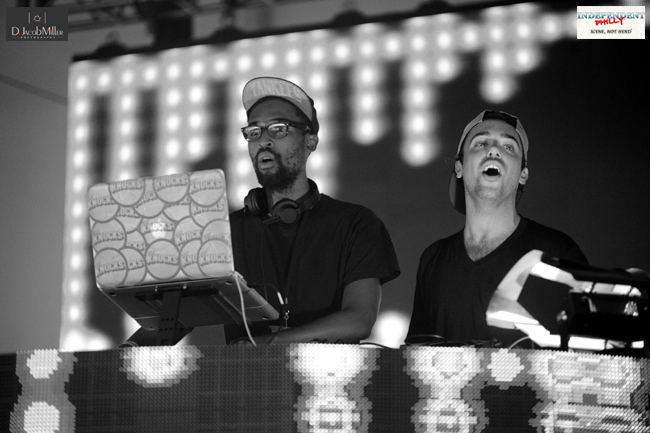 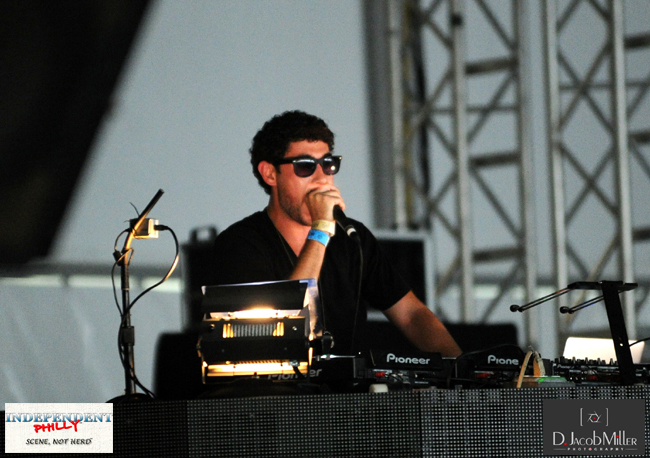 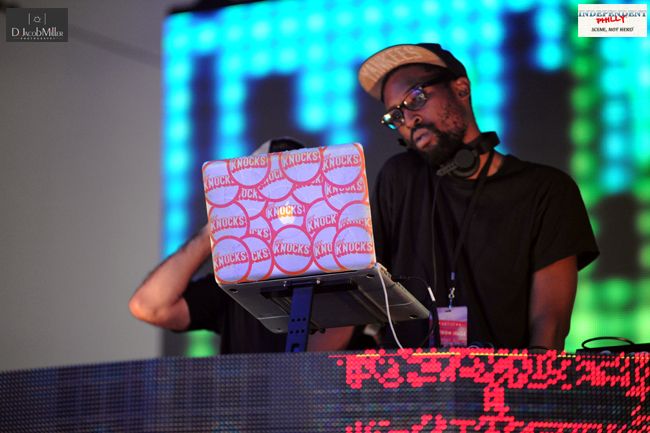 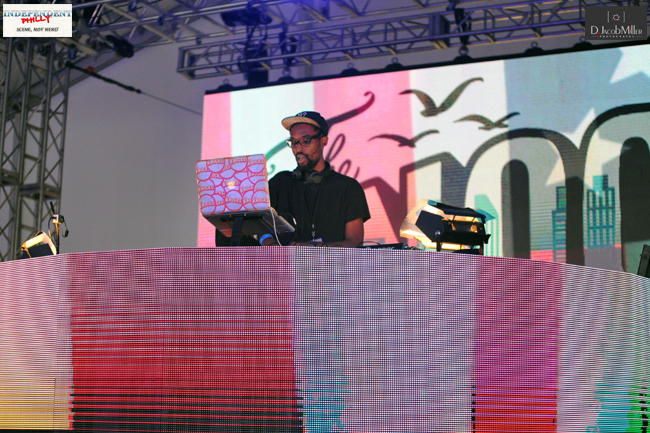 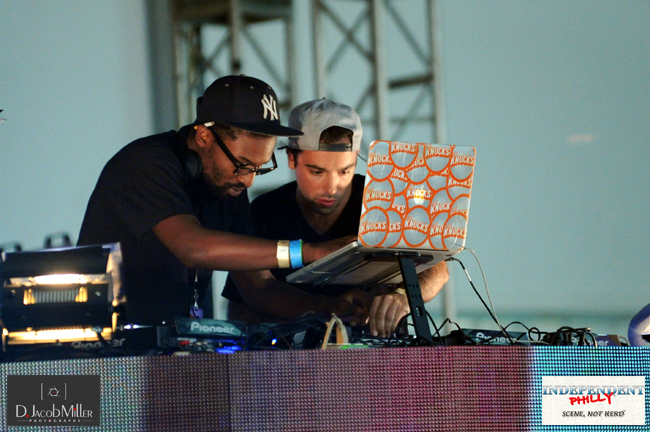 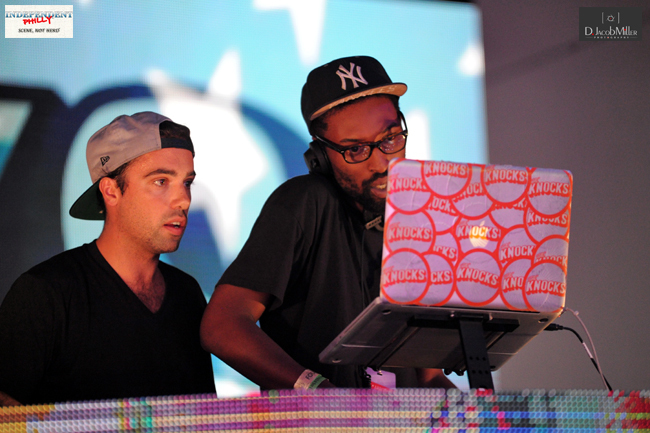 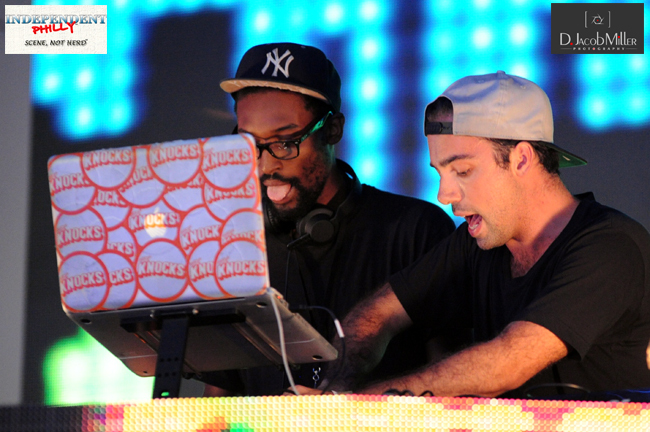 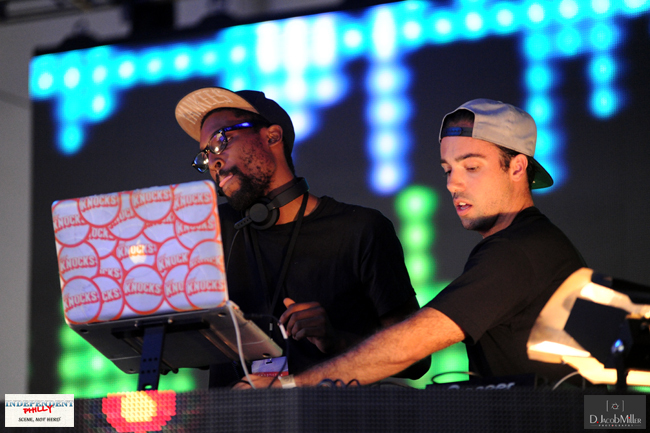 We’re huge fans of The Knocks so we stuck around to catch their DJ set. 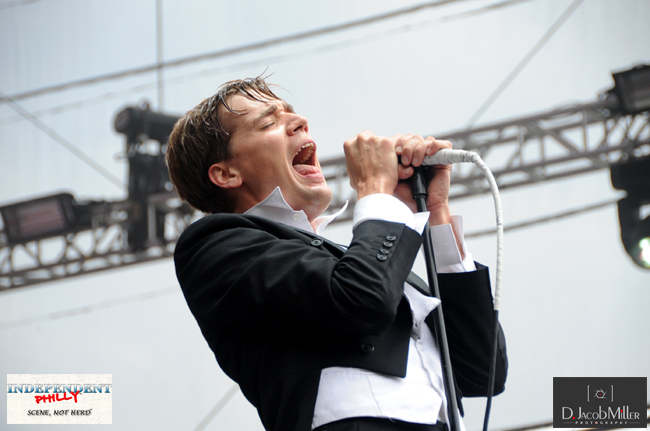 Their track selection was stellar but it would have been sweet if the gig had been a live performance instead. 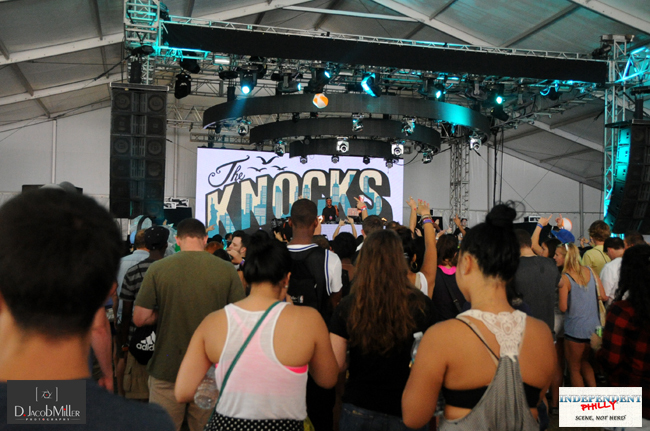 Following the crowd, we dashed over to the Rocky stage and caught part of Santigold’s set. 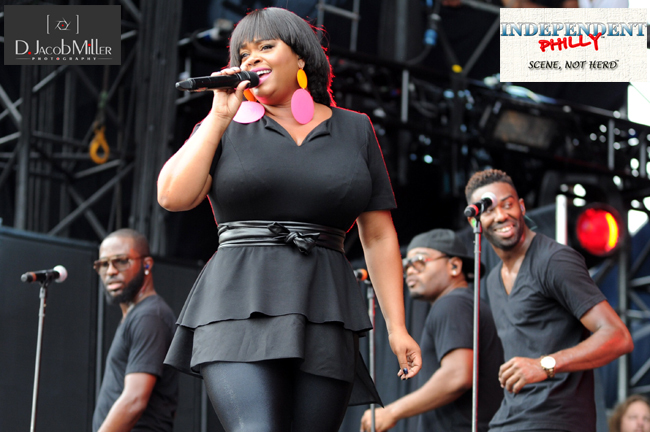 The Philly native, and her dancers had fans up and dancing around. 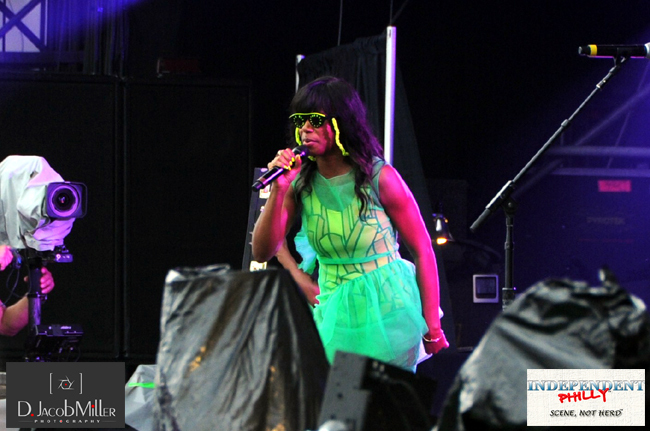 At one point Santigold hand picked several people from the crowd and brought them up on stage to dance alongside her. 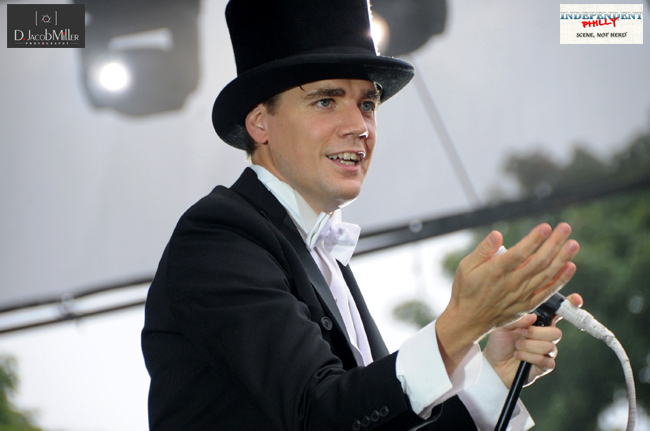 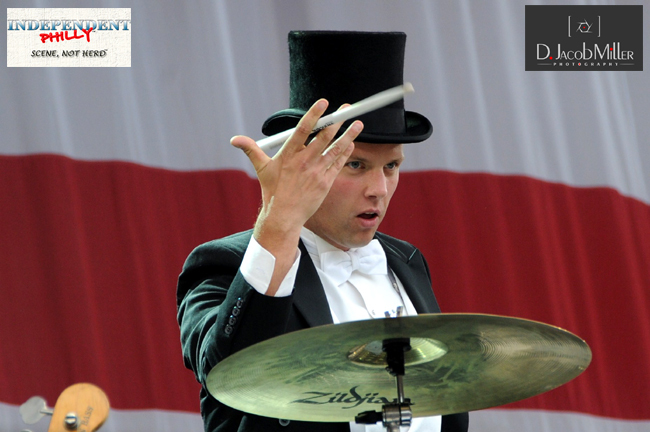 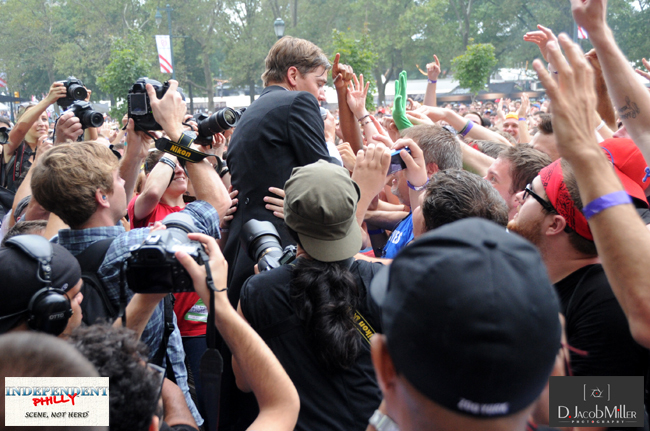 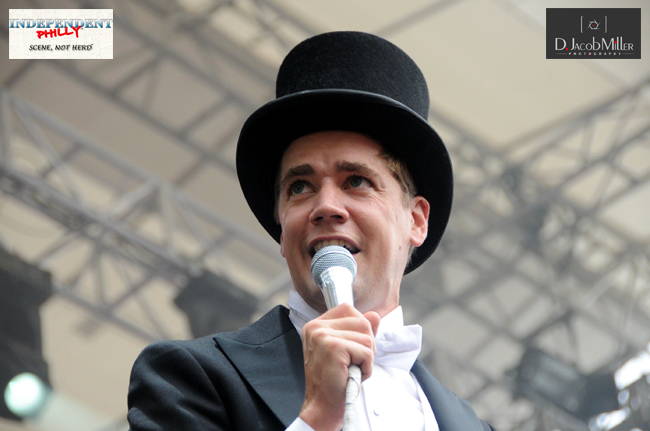 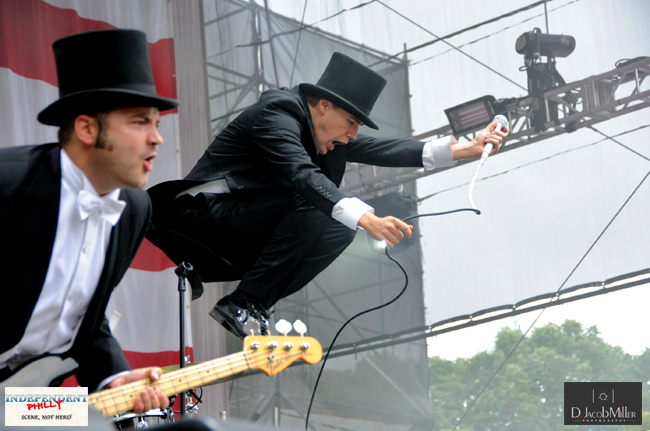 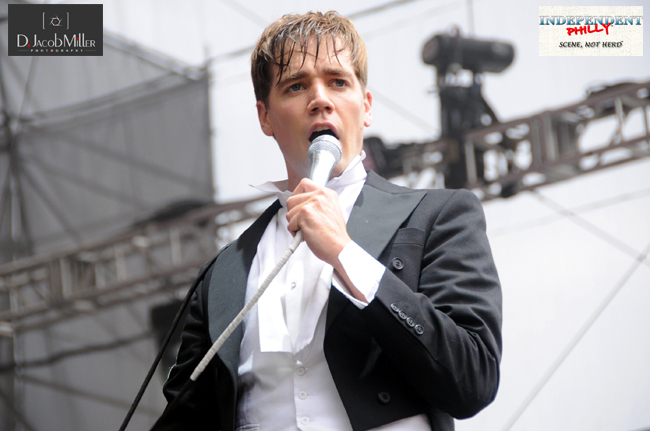 Without a moment to rest it was back to the Liberty stage to catch Swedish rock outfit The Hives. 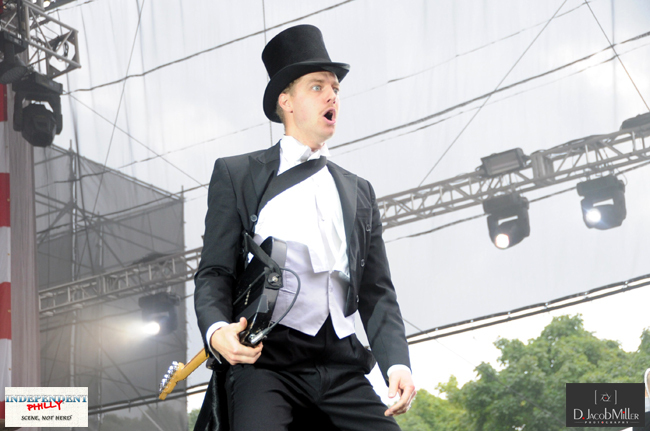 Once their roadies (dressed in ninja costumes) had completed their prep work, The Hives hit the stage dressed in full tuxedos and wasted no time in absolutely rocking the crowd. 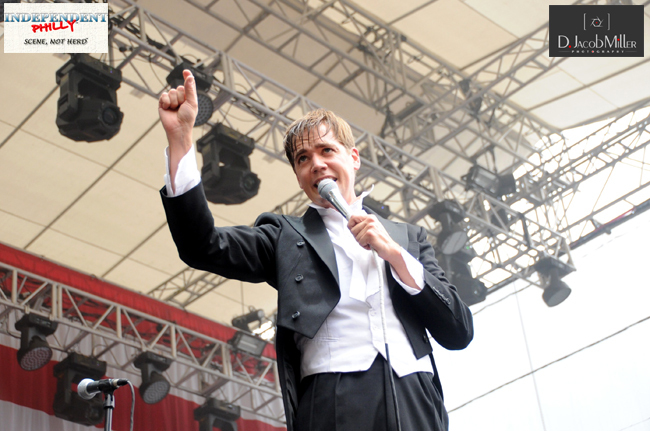 Lead singer Pelle Almqvist declared that Philadelphia had once been known as “New Sweden” and referred to the city by that name several time through out their set. 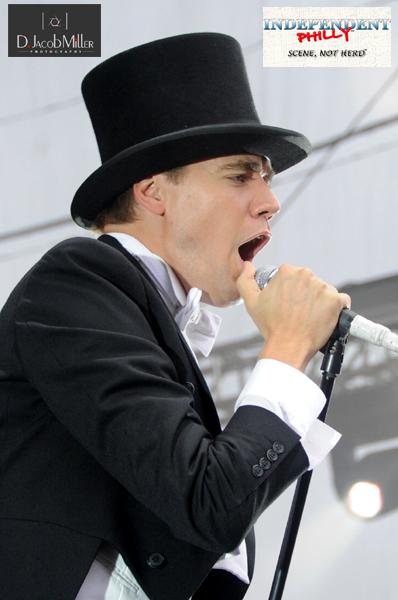 The Hives were by far one of the highlights of the day. 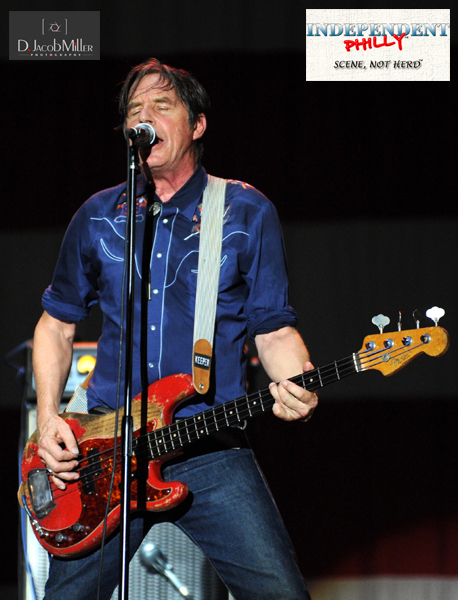 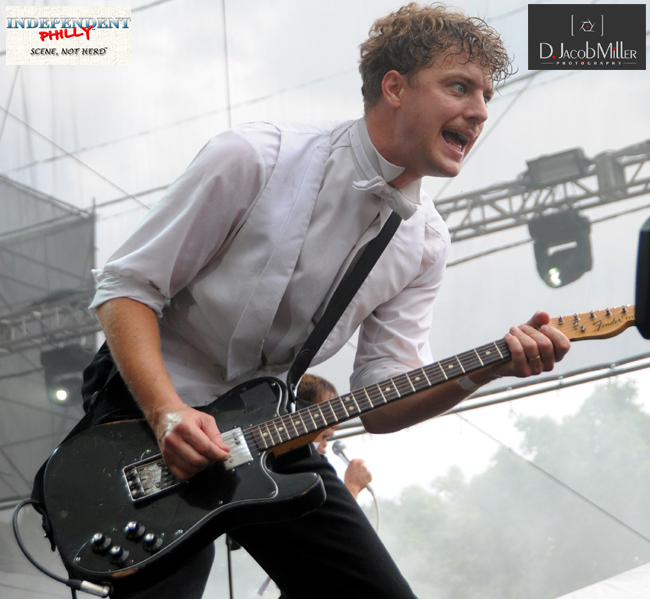 Their energy and raw rock sound was infectious and they engaged the crowd in brilliant fashion. 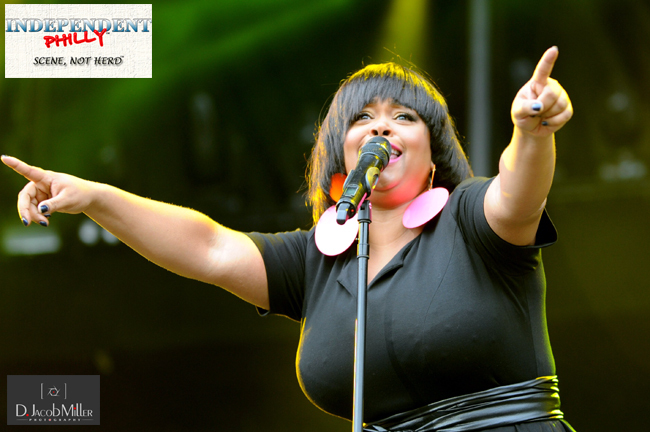 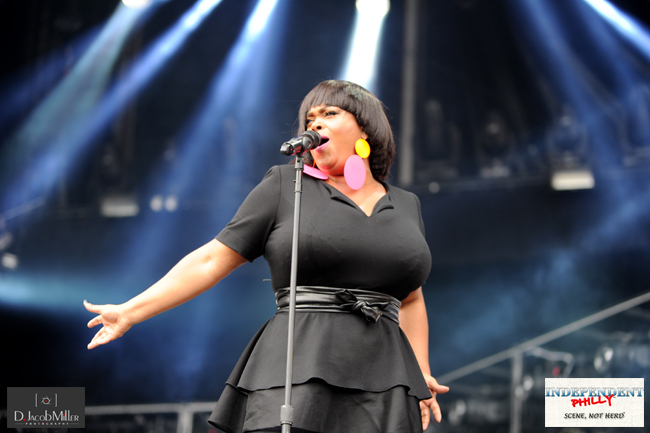 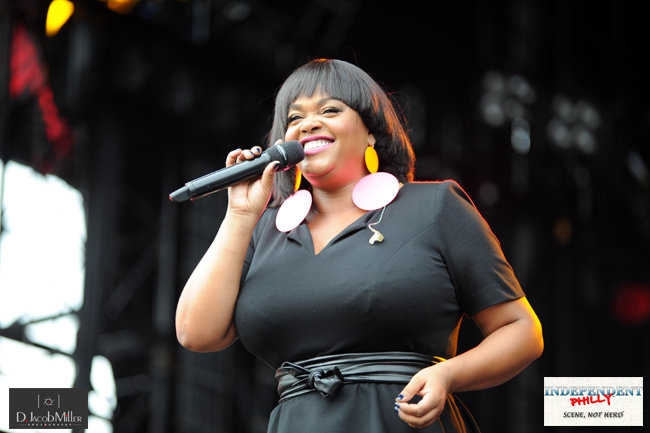 Another Philly native, Jill Scott was up next on the Rocky stage. 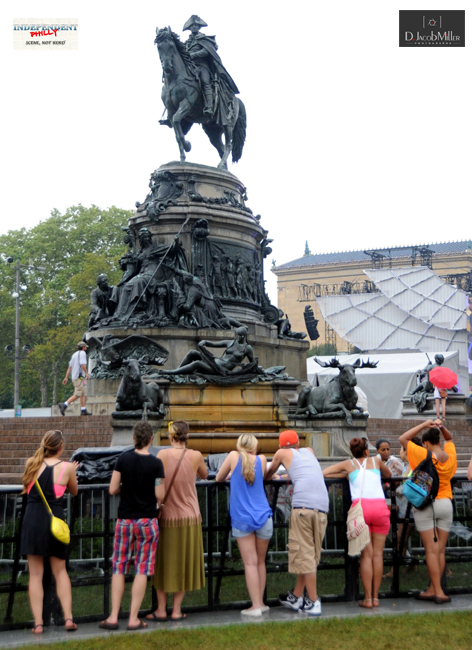 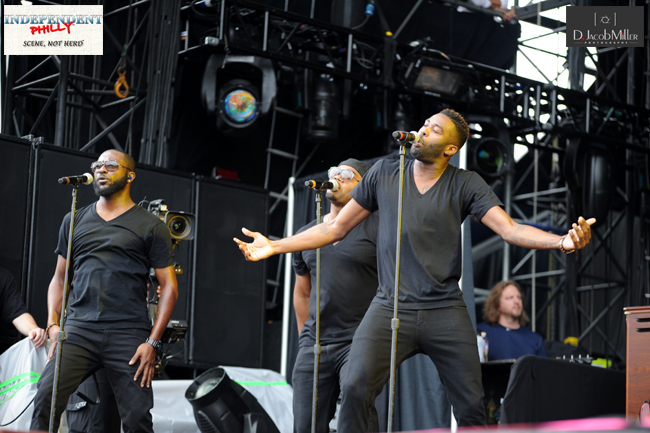 It was fitting that on the final day of Made in America, the Rocky stage was graced by numerous Philadelphians (Eve also made a cameo appearance in addition to Santigold and Jill Scott). 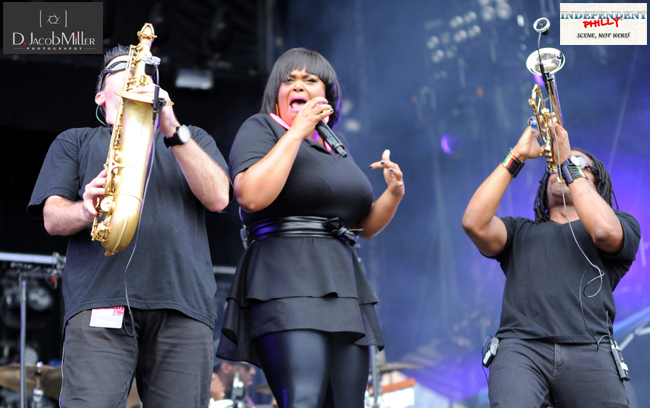 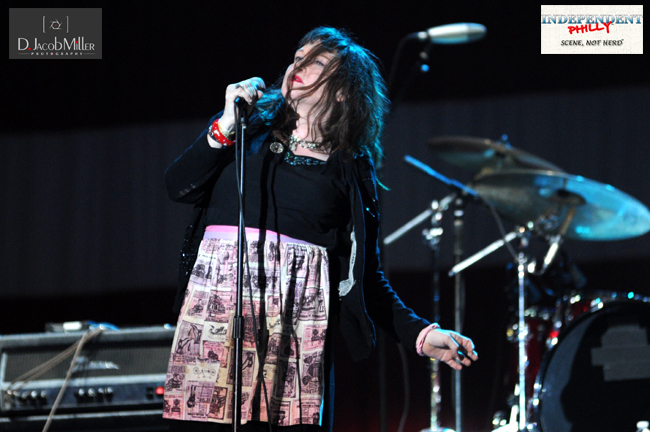 With her stable of background singers and dancing musicians, Scott thrilled the crowd with her stunning vocals. 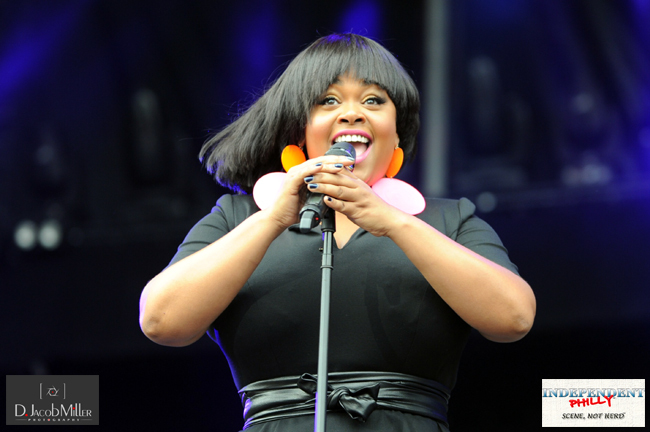 She is truly one of the most talented singers around, period. 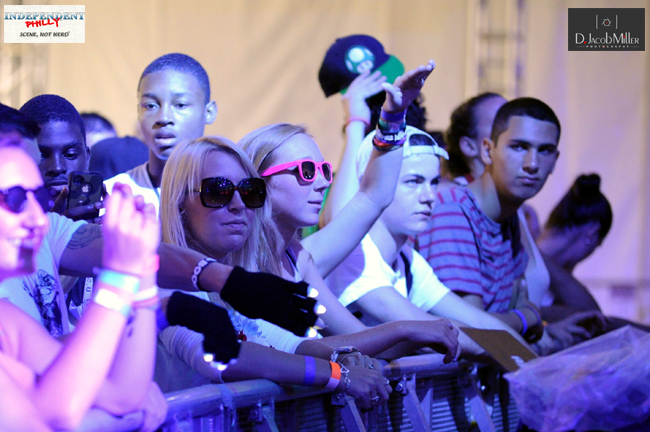 EDM culture has branched out wildly into the main stream recently but many of the newer fans of the music and culture don’t take the time to learn, and appreciated the roots. 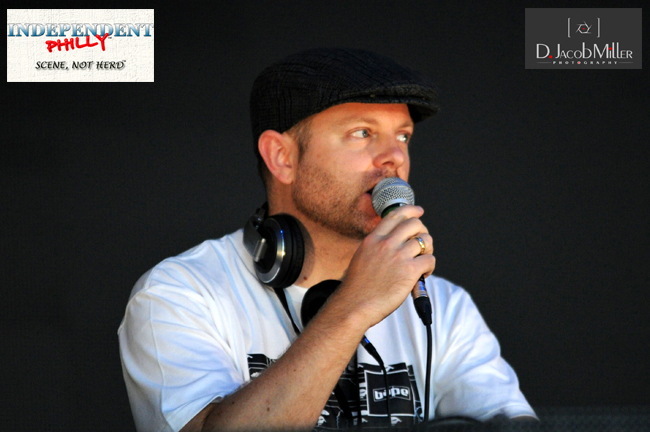 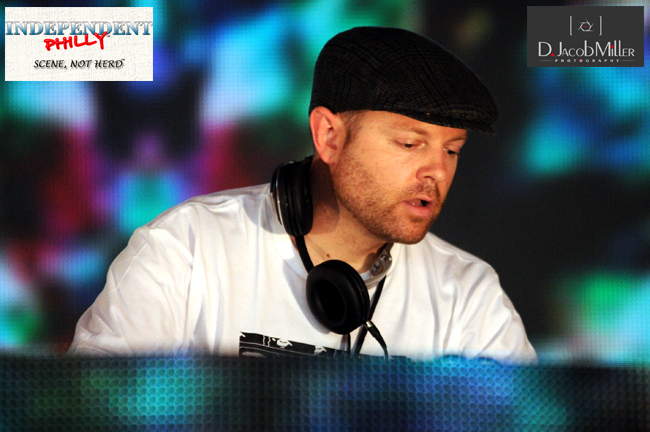 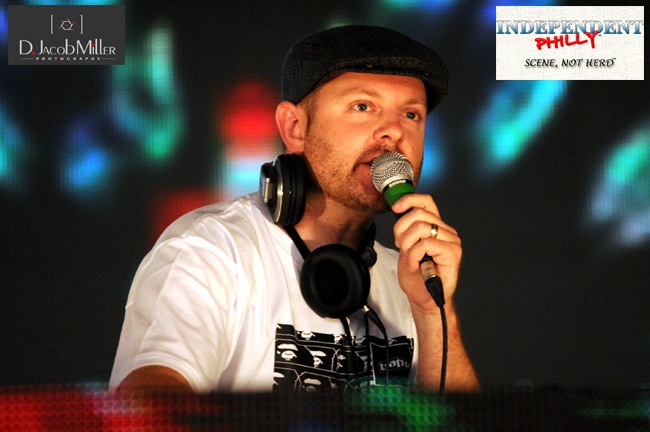 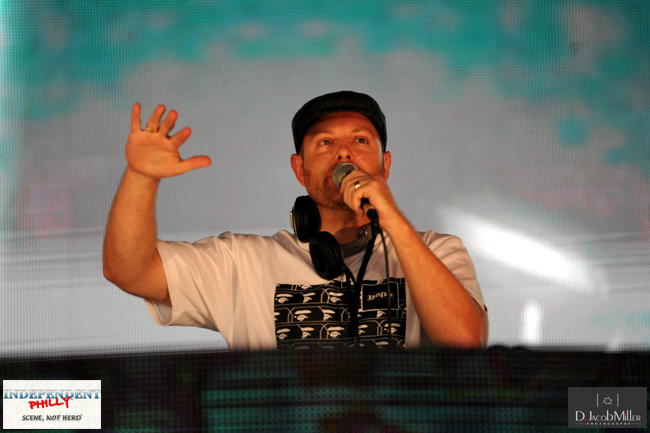 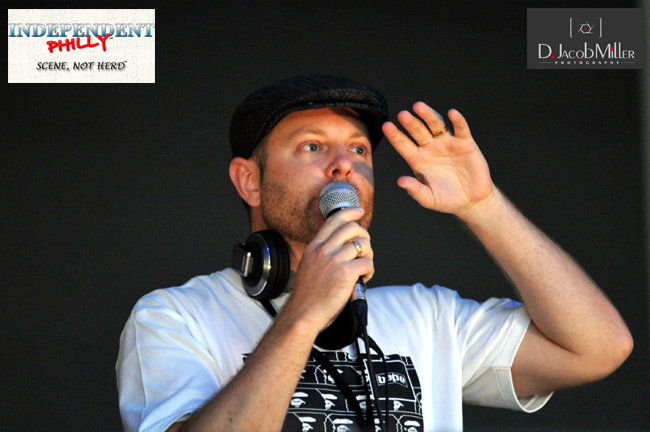 DJ Shadow, a true turntable legend, was up next in the Freedom tent and we weren’t about to miss it. 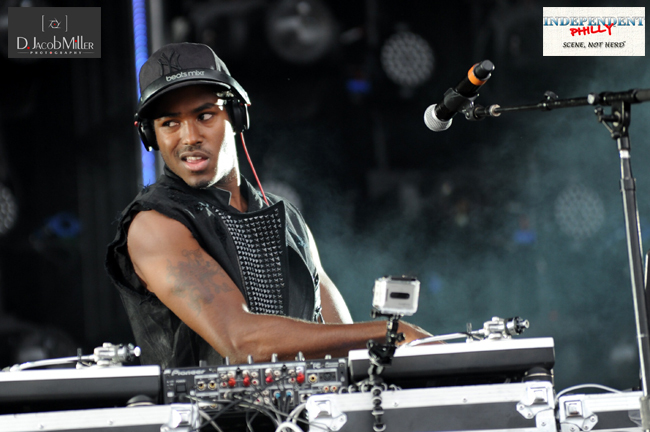 It was clear that the crowd, many of them on the younger side, didn’t fully understand the magnitude of Shadow’s contributions to DJing. 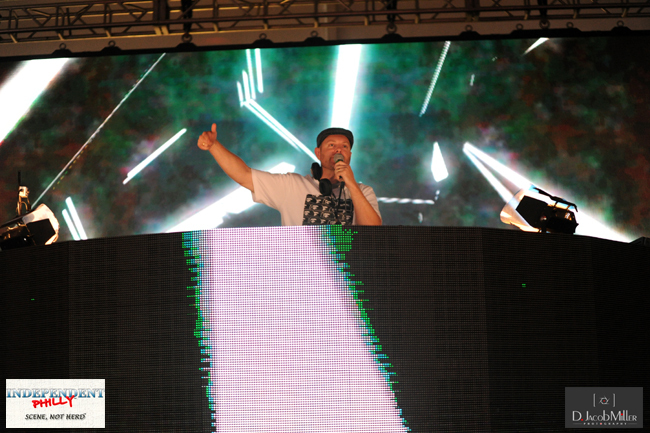 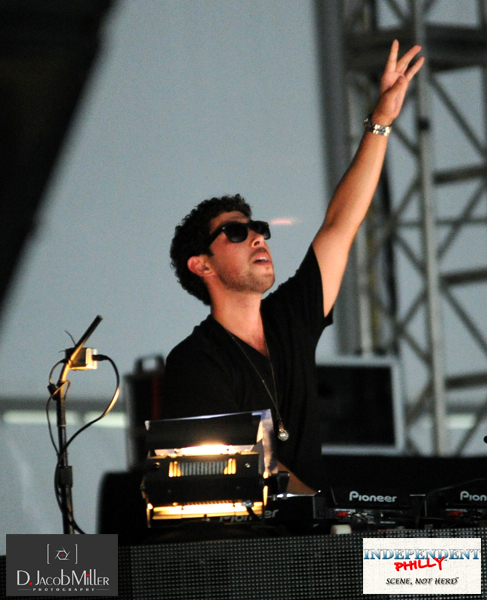 His scratching and mixing were insane. 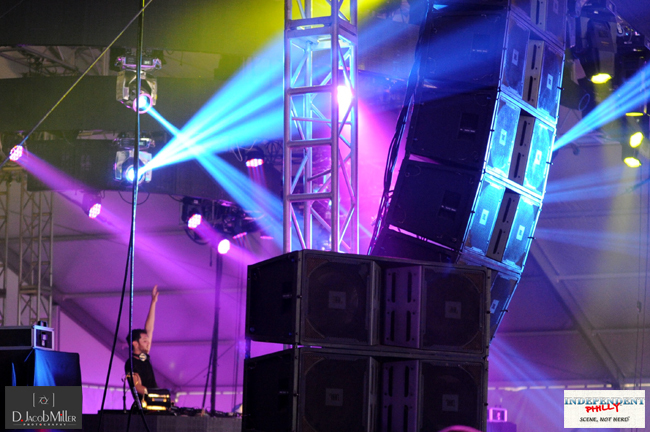 Sadly, all that some kids today understand is Skrillex like bass drops. 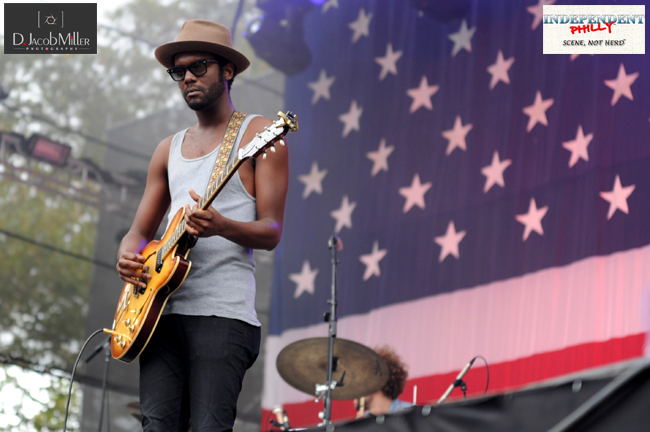 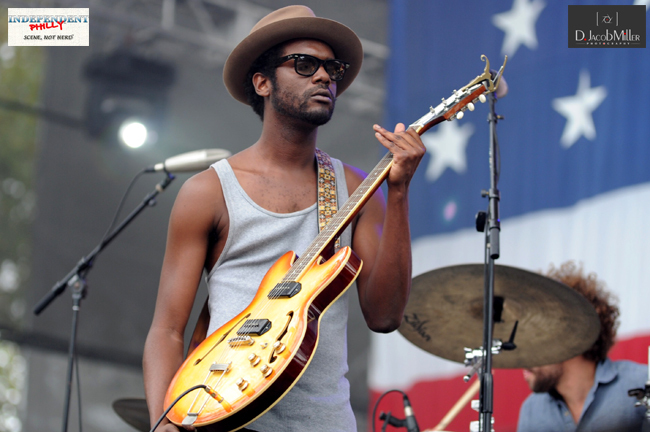 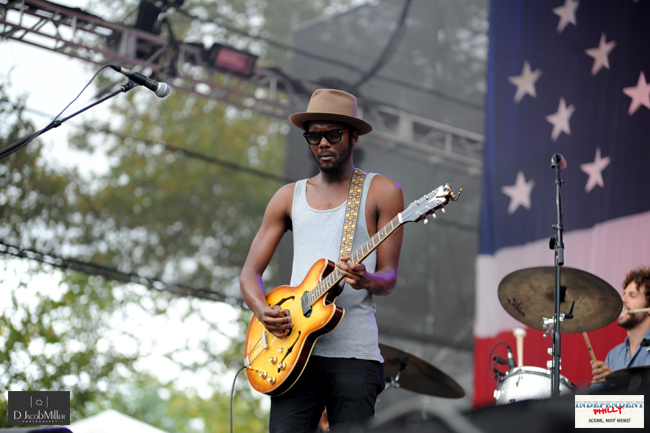 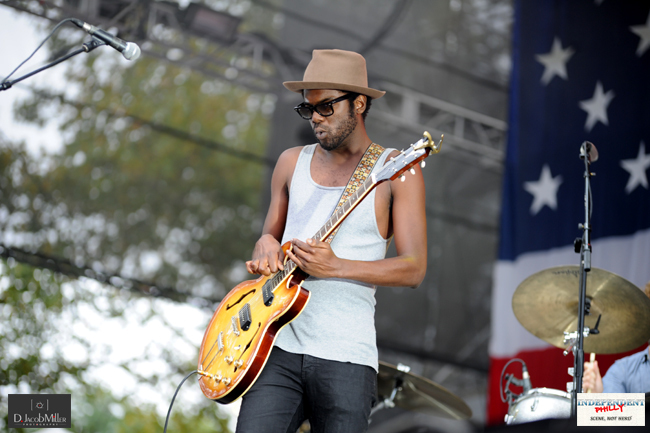 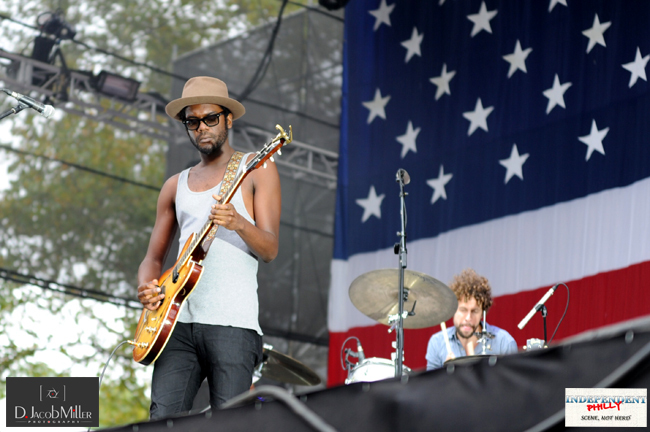 We knew we’d get another chance to see DJ Shadow late-night at the Theater of the Living Arts so we hit the Liberty Stage again for Gary Clark Jr. His masterful guitar skills, set against the back-drop of the giant American flag, invoked images of Jimi Hendrix. 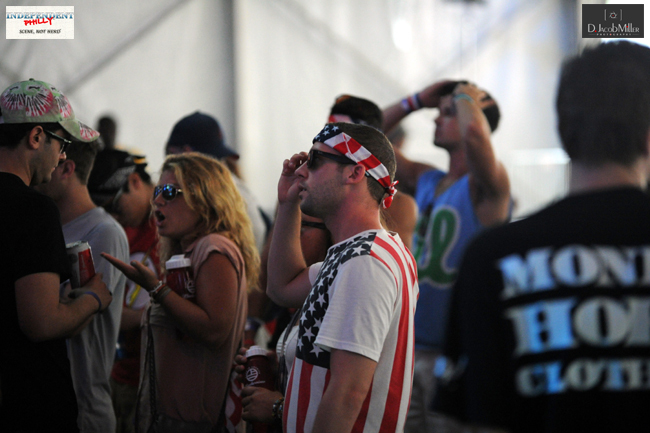 There was little time to waste as something truly special was about to take place on the Rocky stage. 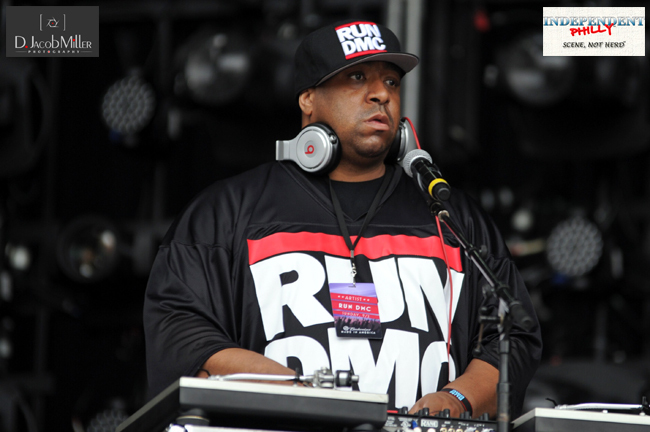 RUN DMC, their fans, and the music world suffered a great tragedy in 2002 when DJ Jam Master Jay was murdered. 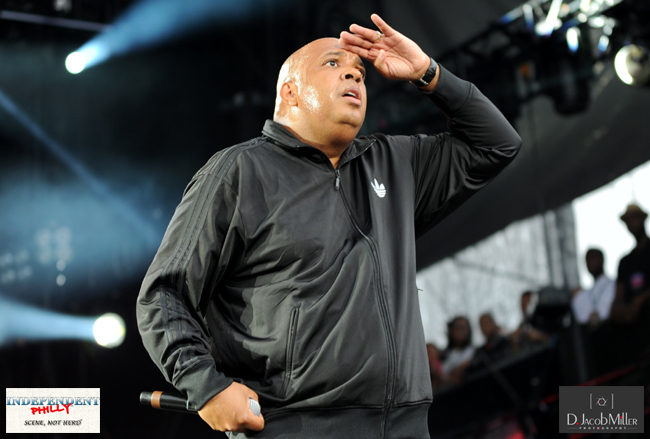 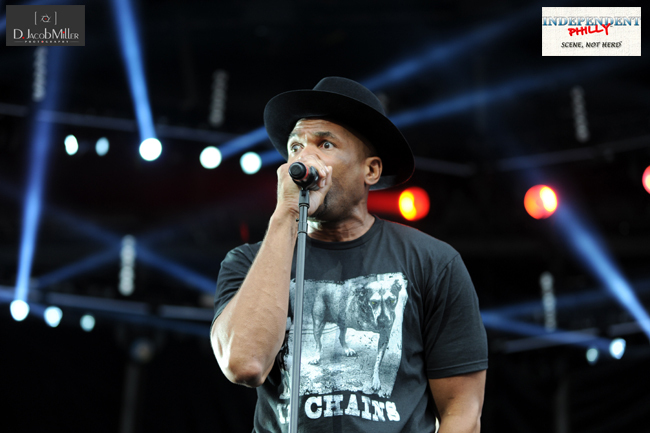 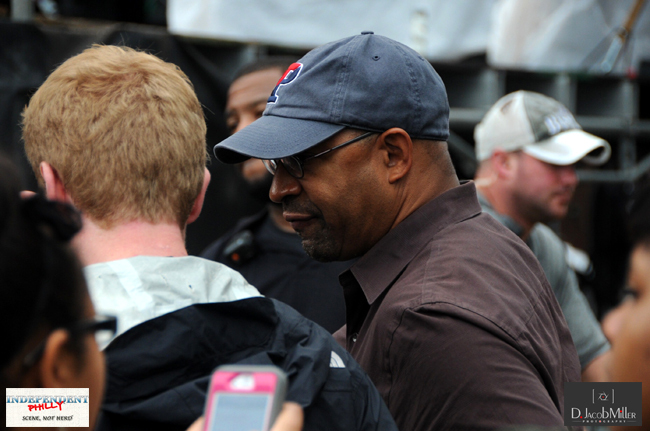 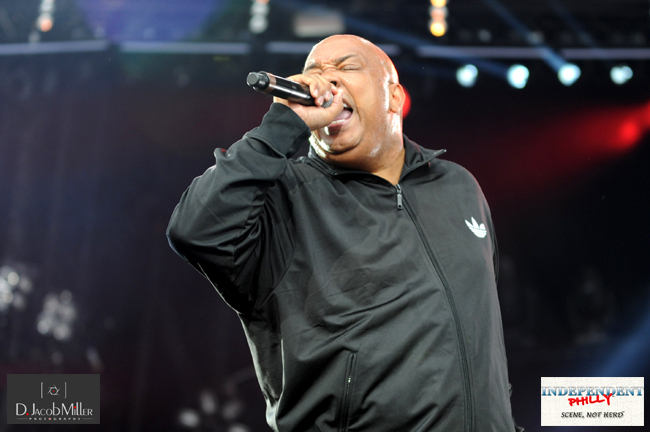 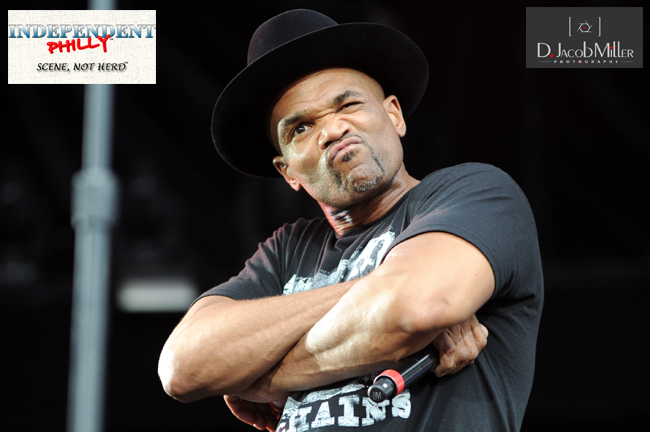 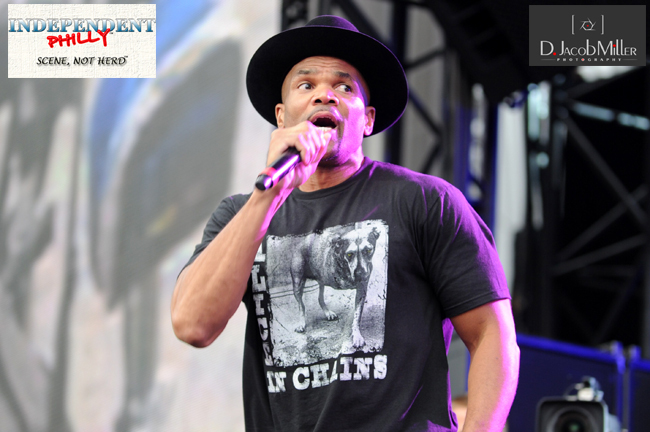 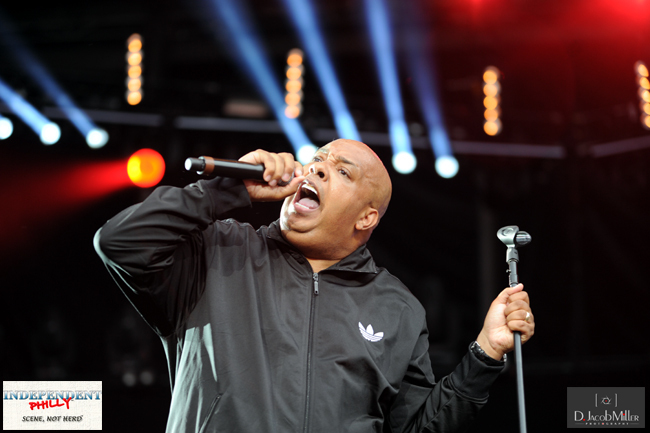 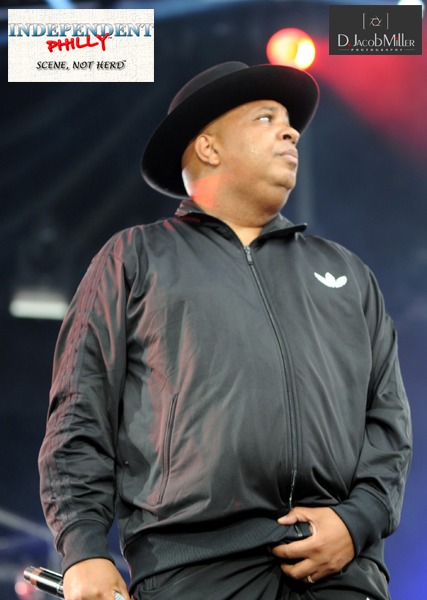 At the time of his death, it had already been a few years since RUN DMC had performed together. 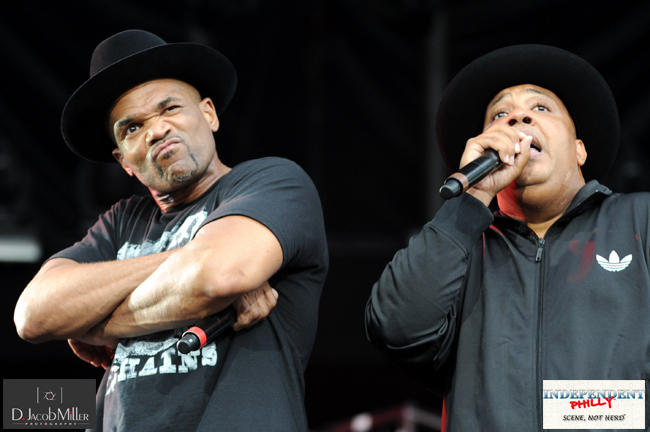 Since the passing of Jam Master Jay, no one had been successful in convincing the two remaining members of RUN DMC (Darryl McDaniels and Joseph “Reverend Run” Simmons) to reunite on stage…until Jay Z did for Made in America. 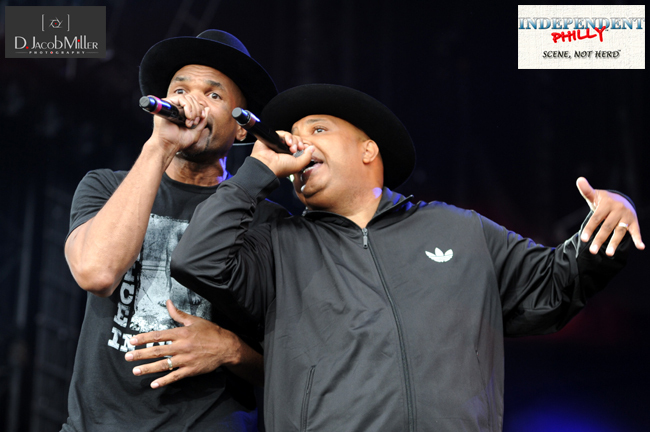 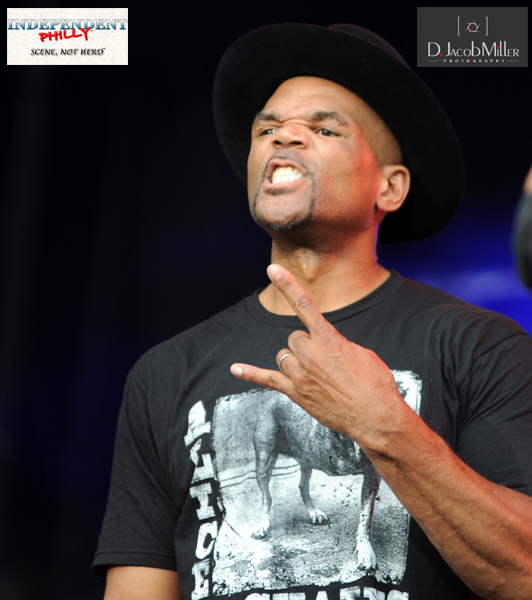 With Jam Master Jay’s two sons on the turntables, and a digital banner which read “Jam Master Jay Forever” displayed above the stage, RUN DMC rocked the mic together for the first time in over 12 years. 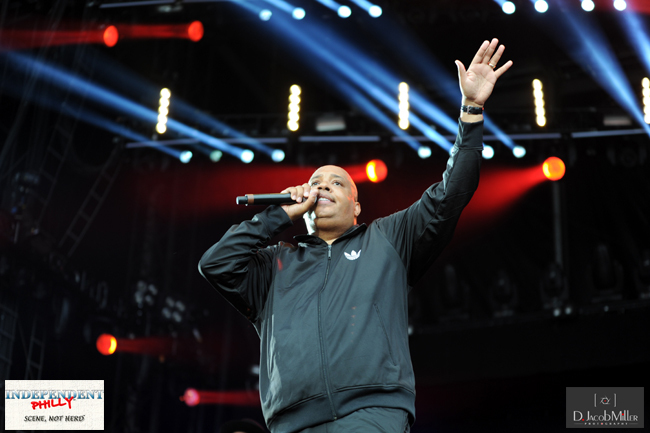 For hip-hop fans it was a magical experience to see the two back in action, spitting the lyrics to hits like “Walk This Way” “My Adidas” and “It’s Tricky”. 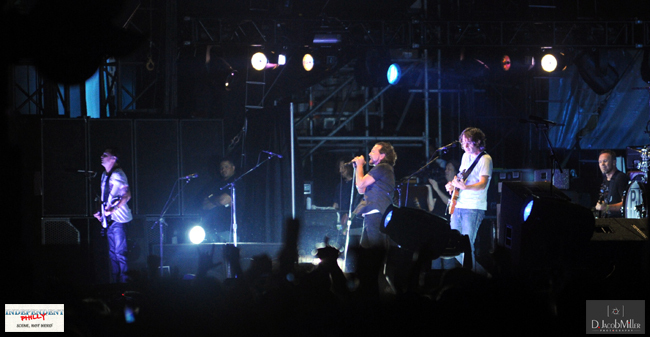 It was clear that they enjoyed being back in the spotlight. 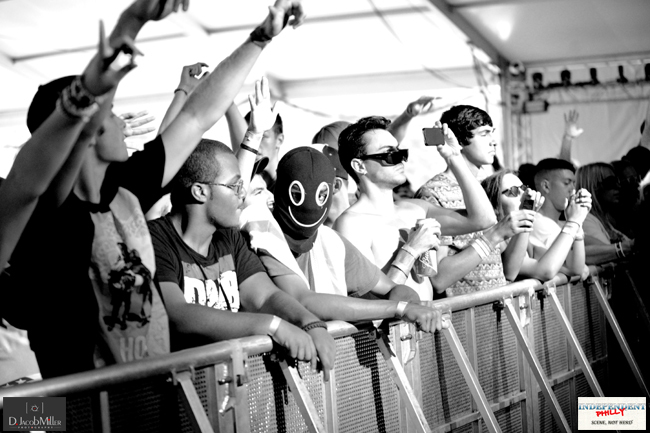 It was clear that their fans enjoyed it just as much. 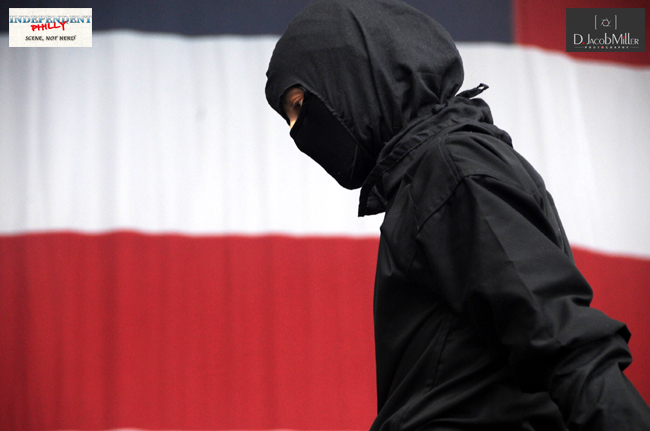 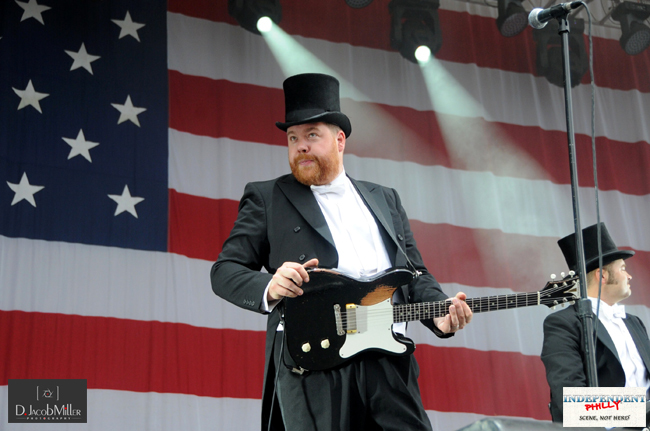 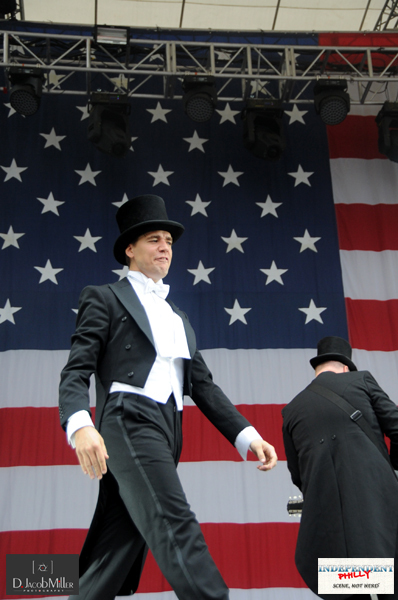 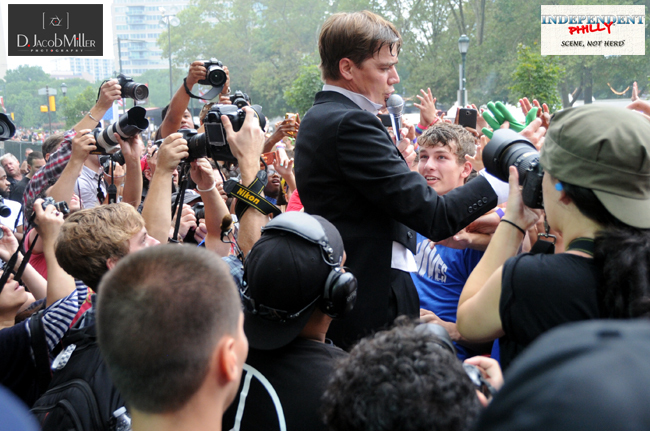 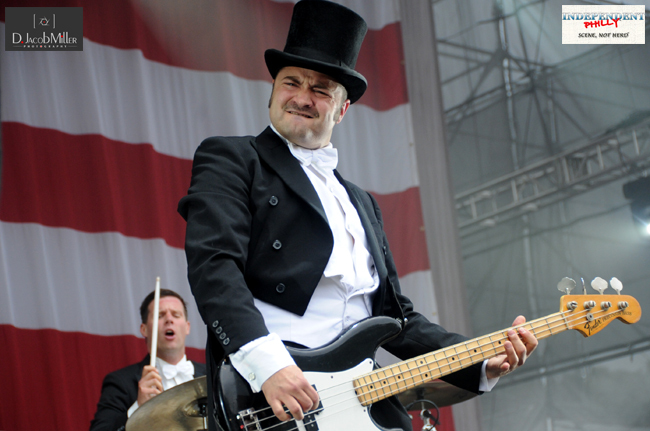 Ironically, The Hives weren’t the only act from Sweden to play Made in America on Day 2. 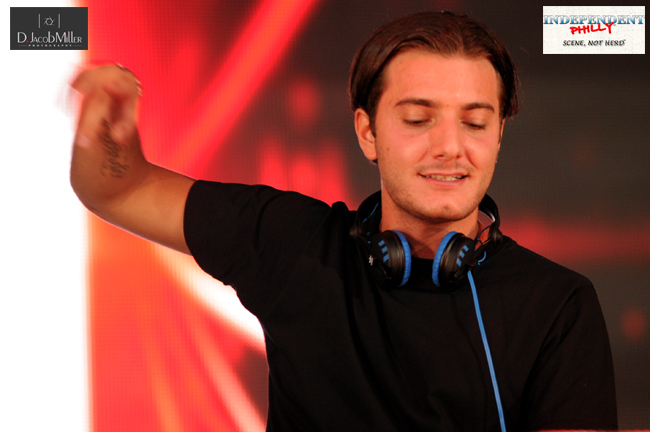 Alesso was up next on the decks and we fought our way through the hot and sweaty crowd that packed the Freedom tent like a car of sardines. 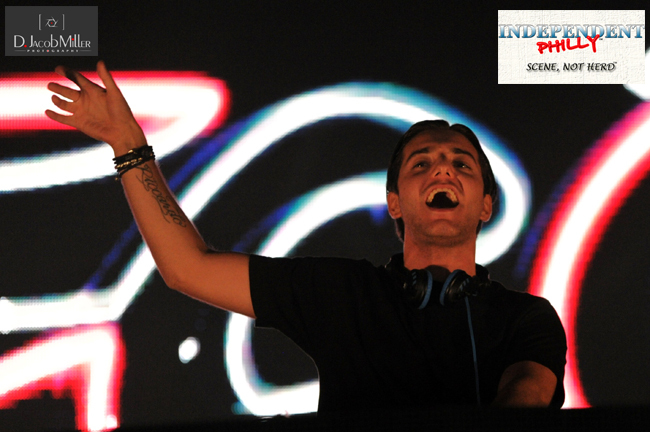 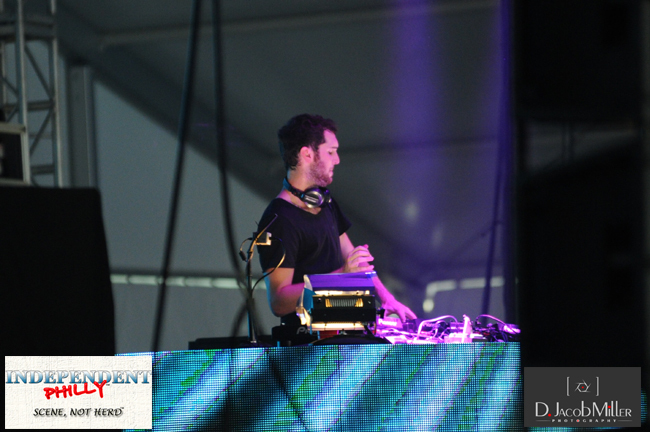 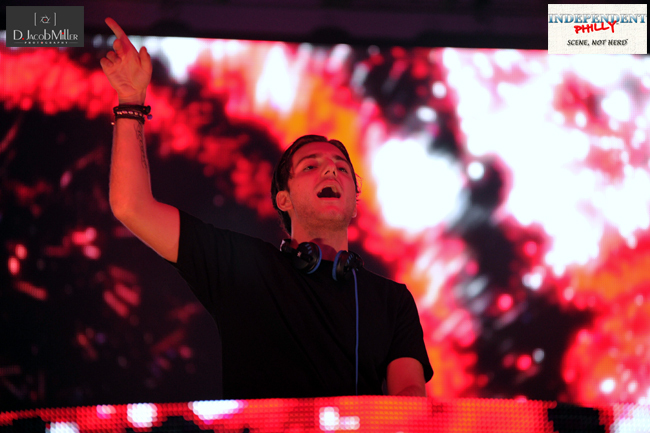 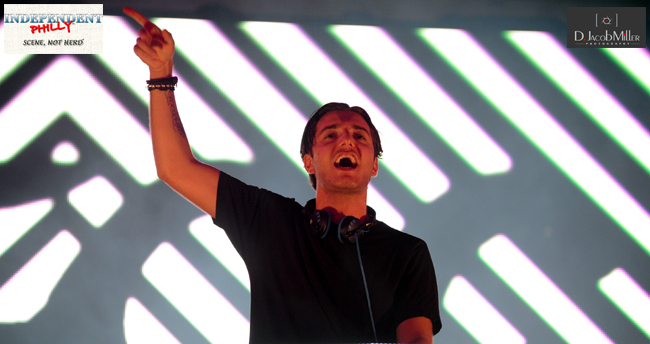 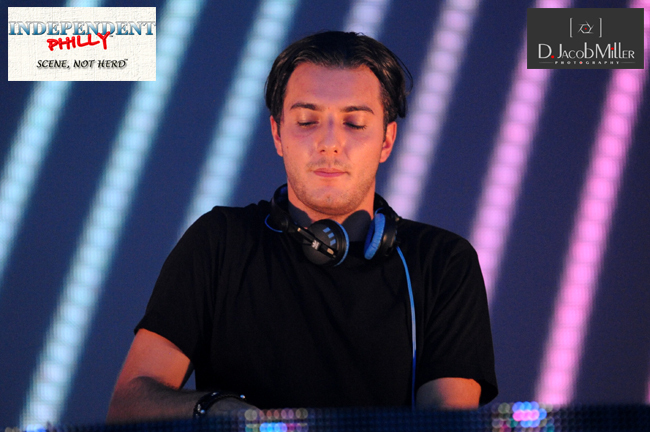 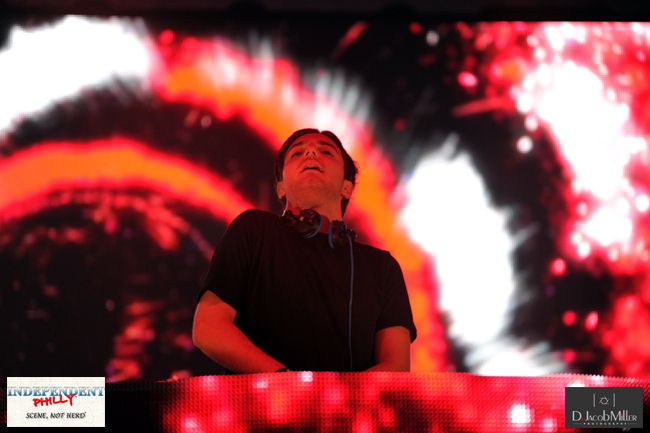 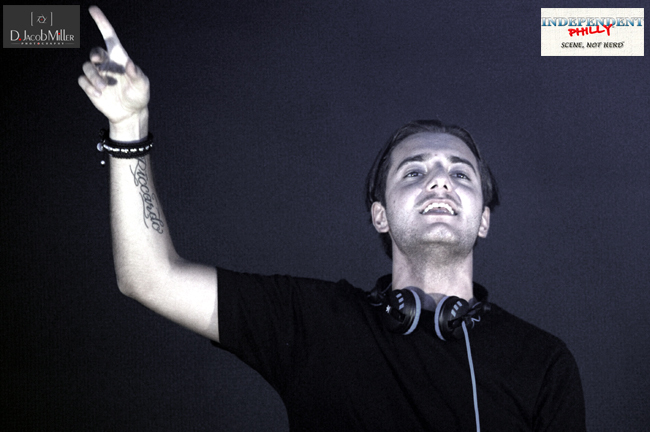 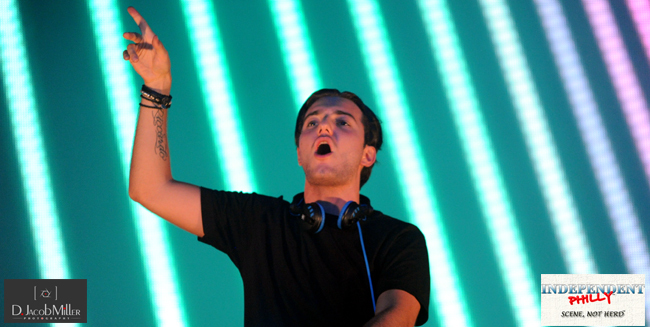 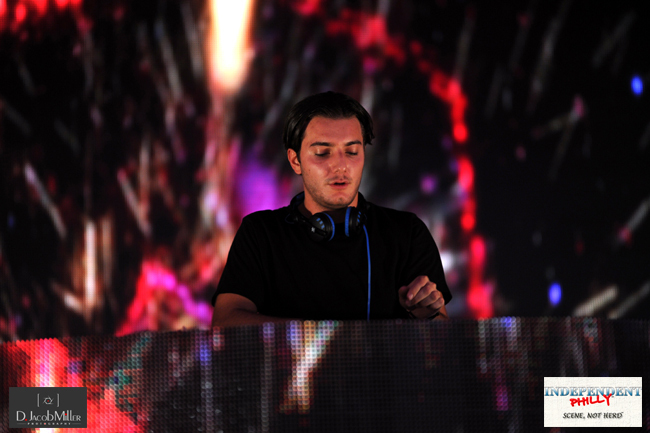 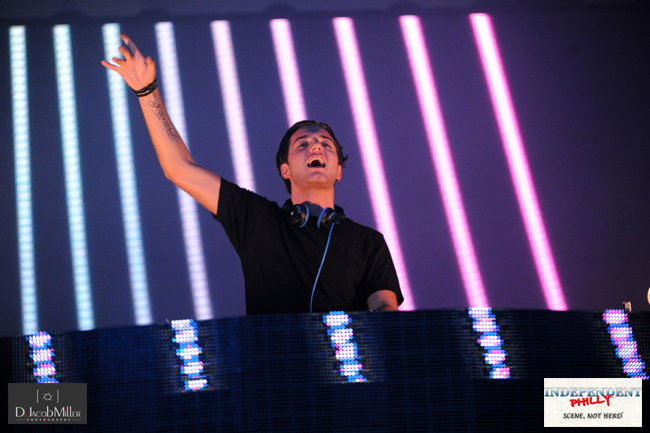 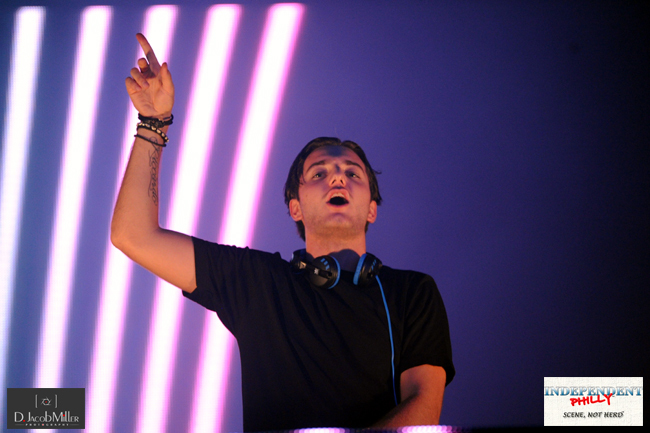 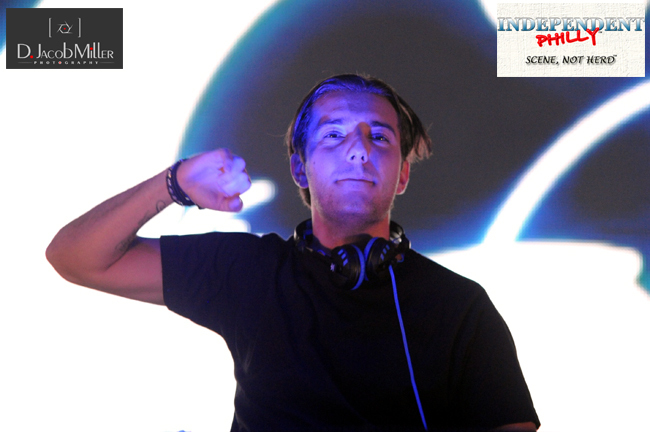 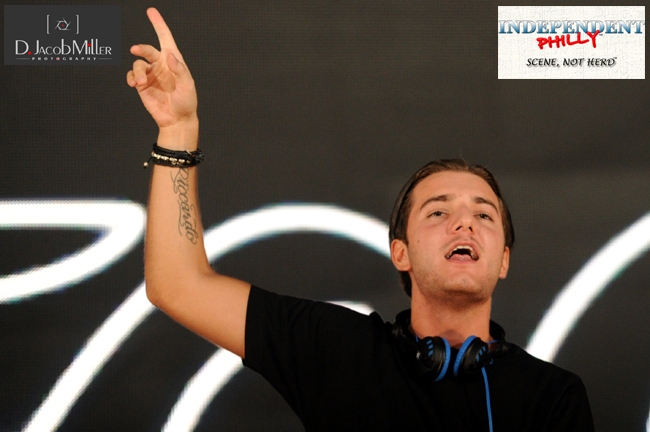 Singing along to his own tracks, hands raised in the air, Alesso dropped several of his hits, as well as numerous other crowd favorites, on his faithful fans. 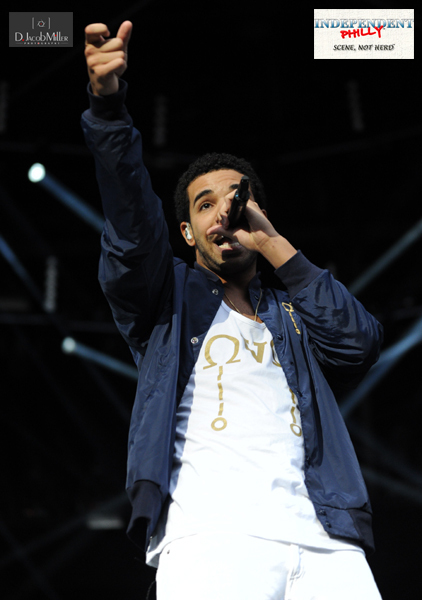 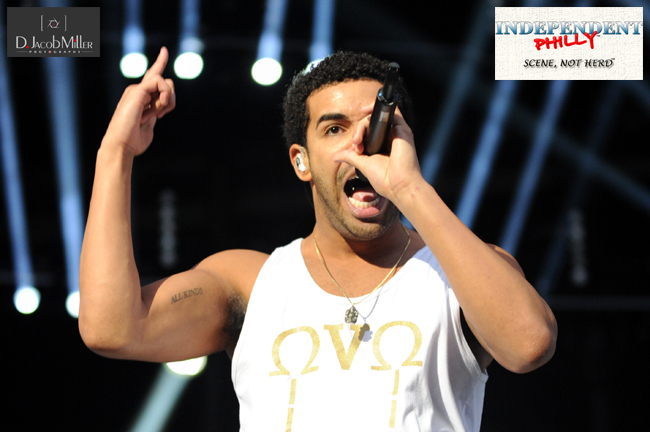 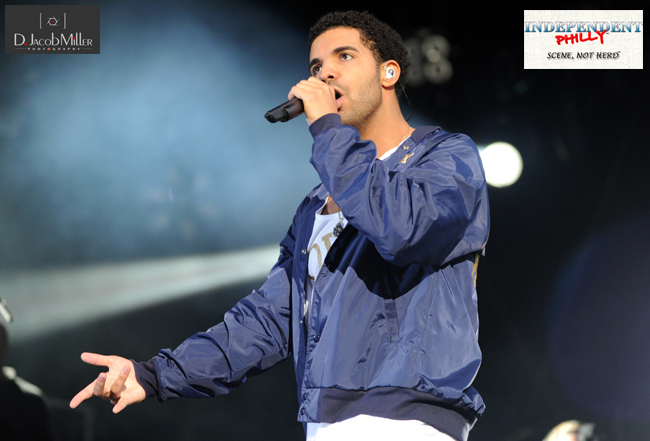 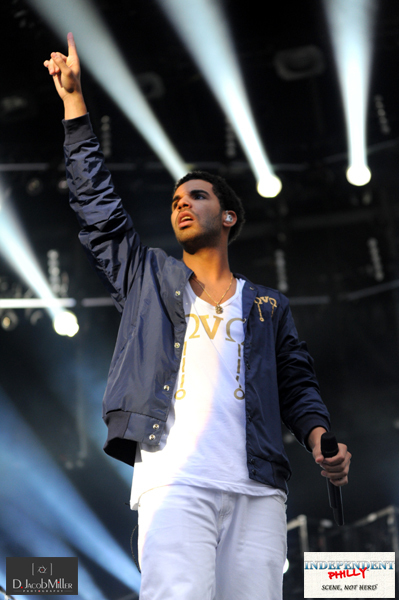 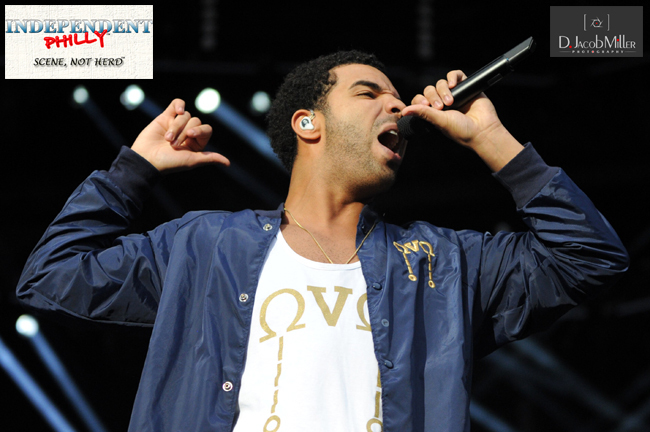 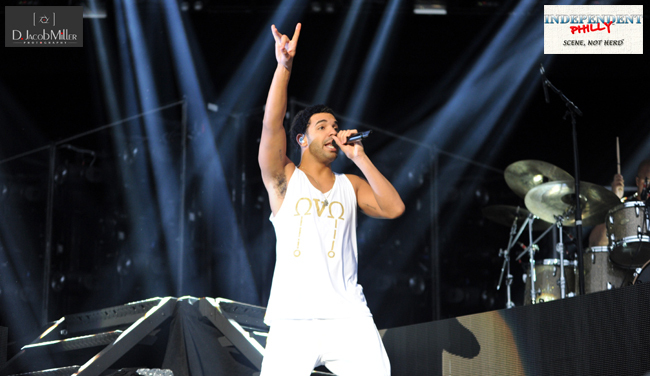 Canadian sensation Drake was up next on the Rocky stage. 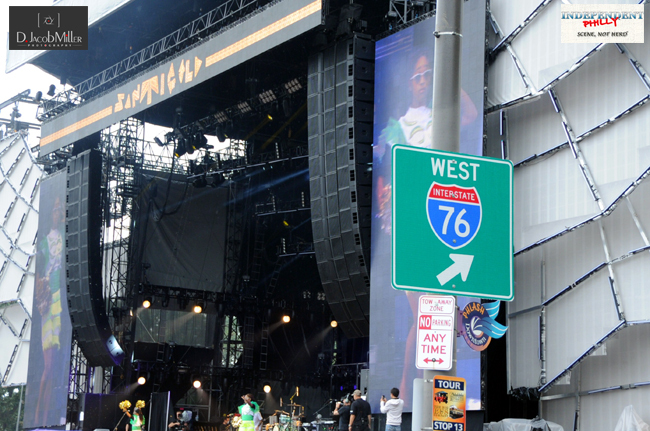 We have to pause here because we just don’t get it. 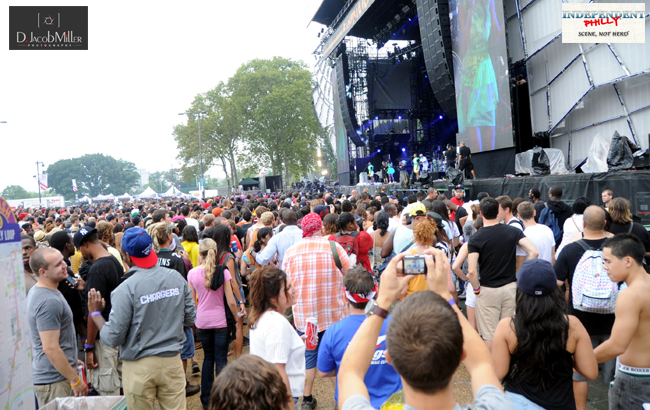 A huge crowd flocked to the main stage for Drake’s set and frankly, it was about as uninspiring as his recorded music. 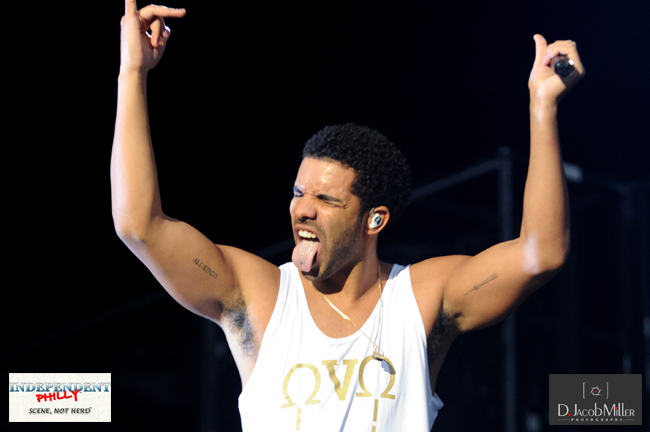 Whatever the appeal of Drake is, it’s lost on us. 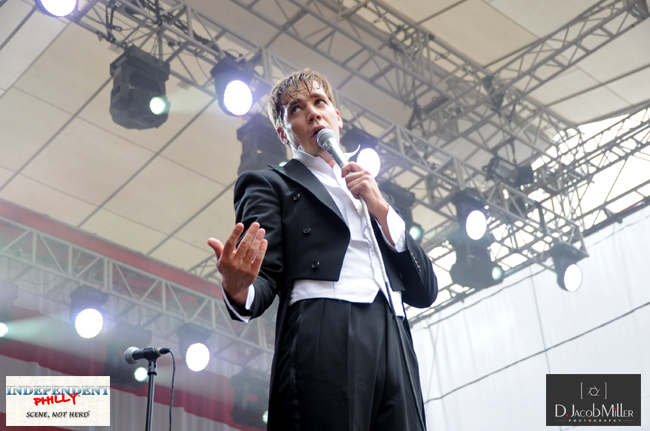 His vocals sound like nothing but whining. 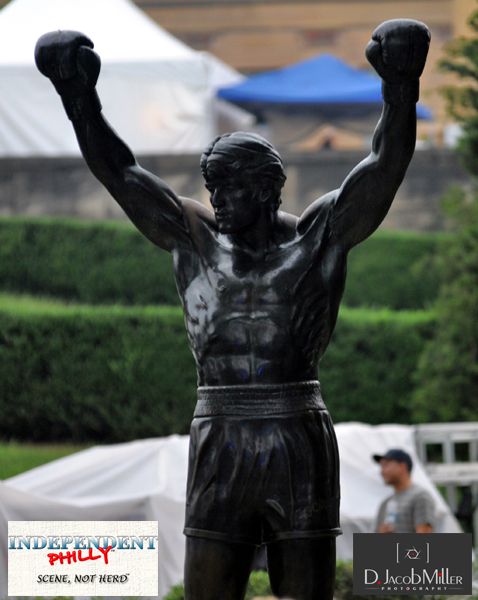 It seems like we might be in the minority on this one however, given his success. 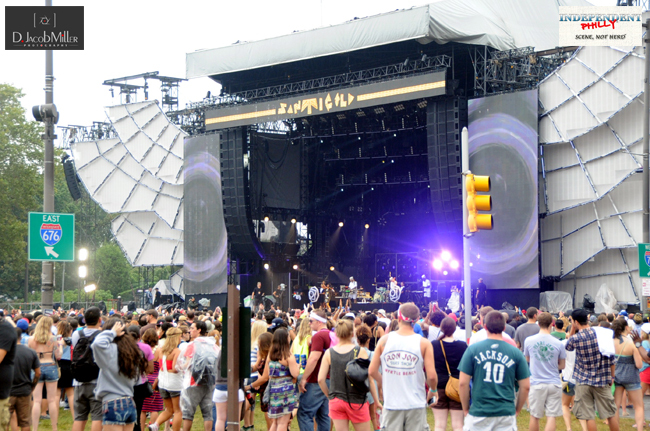 X closed out the Liberty stage on Day 2. 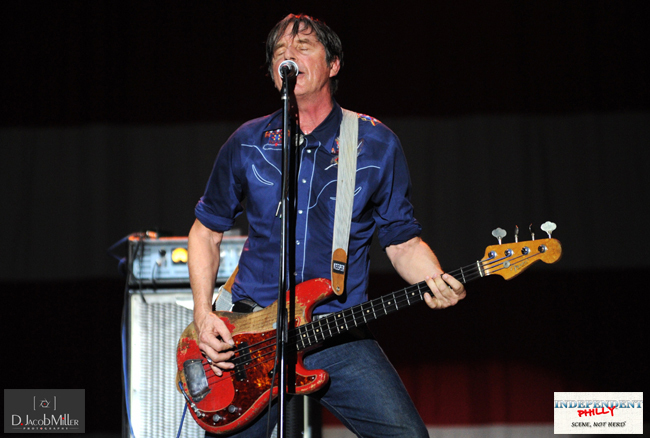 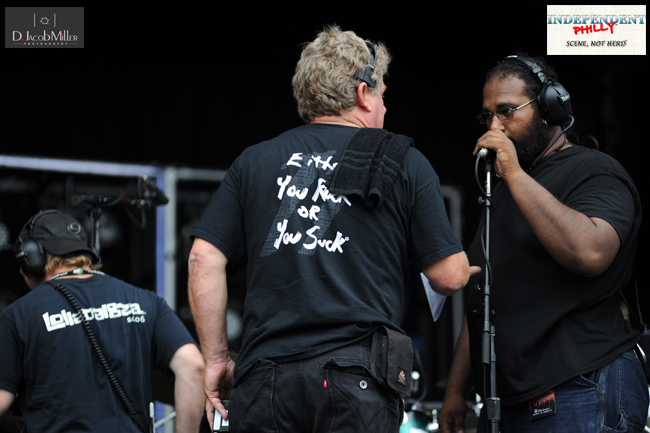 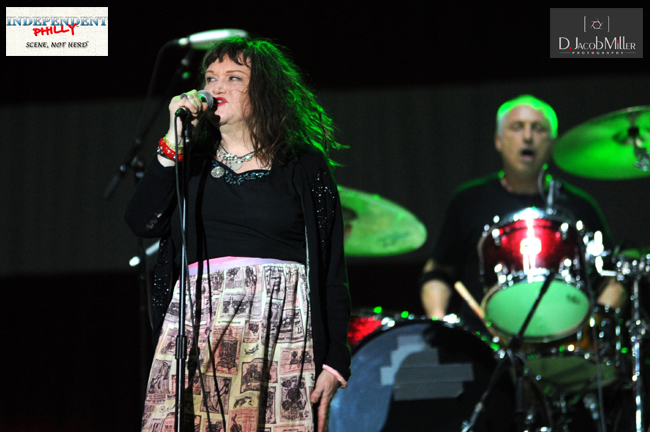 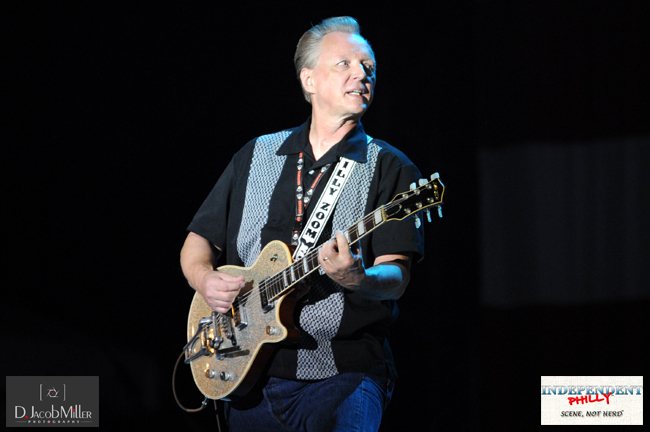 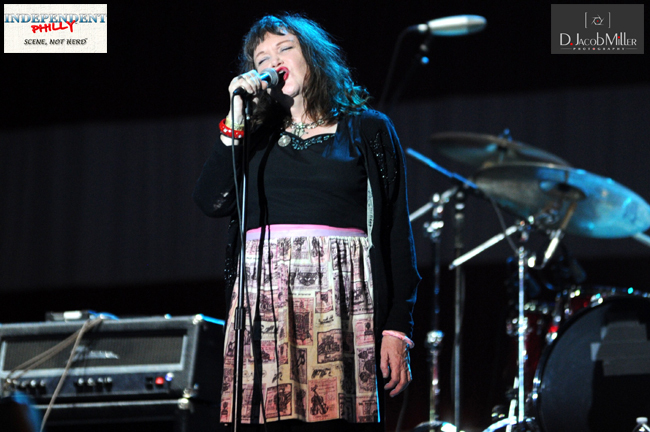 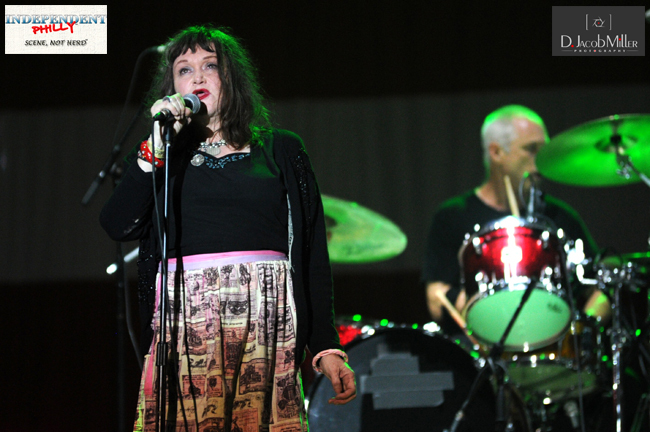 The punk band from L.A. has been at it since the late 1970’s and they were certainly a unique addition to the eclectic festival line-up. 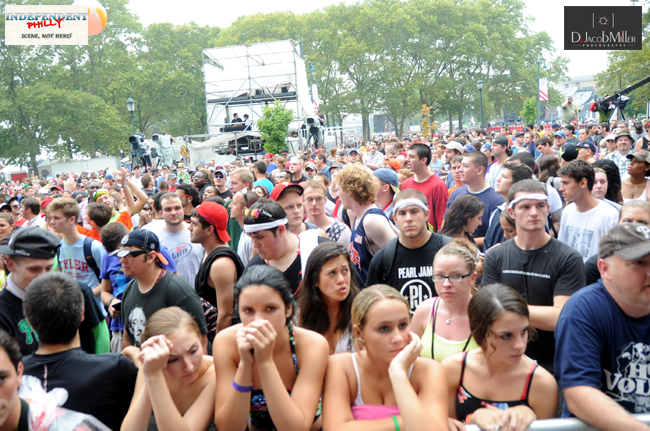 The crowd at Liberty stage was considerable smaller than it had been the night before for Skillex. 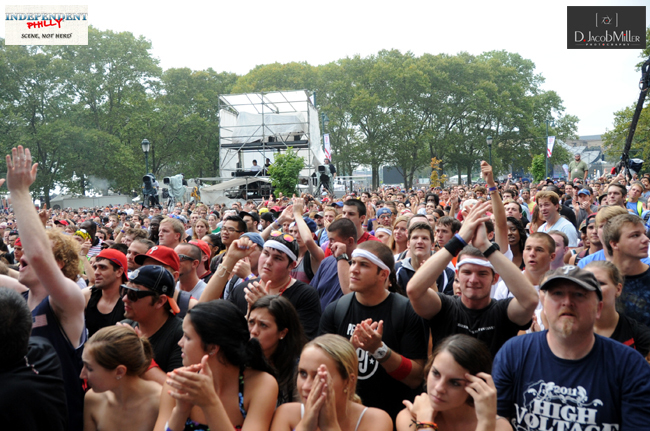 This was in part due to the fact that many fans were busy securing a good spot for Pearl Jam or packing into the Freedom tent to see Afrojack. 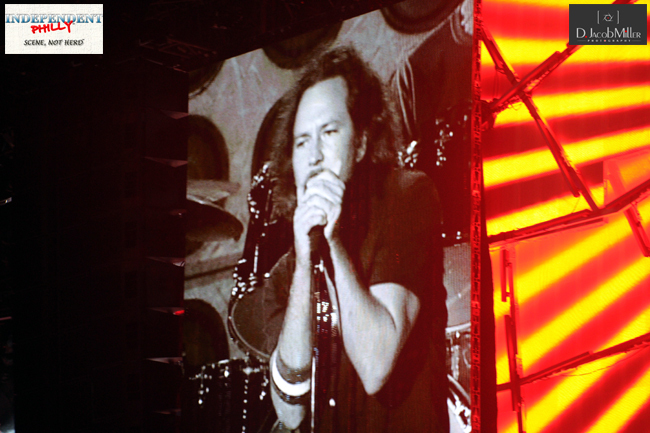 We closed out the night, the the Budweiser Made in America festival in the same fashion as everyone else in attendance, watching Pearl Jam perform on the Rocky stage. 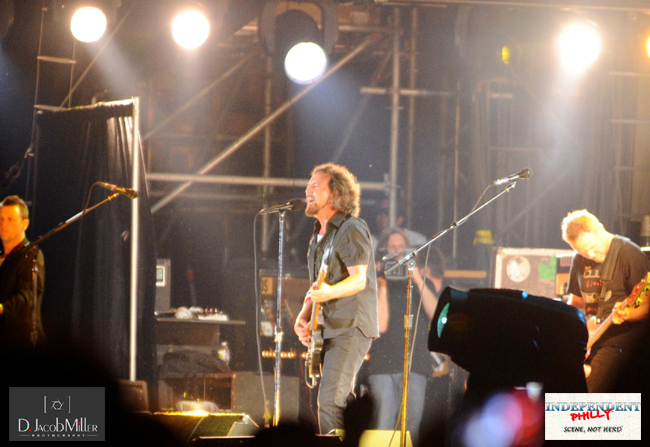 It was pure magic to see Eddie Vedder and company still evoke such powerful feelings from the crowd after over 20 years. 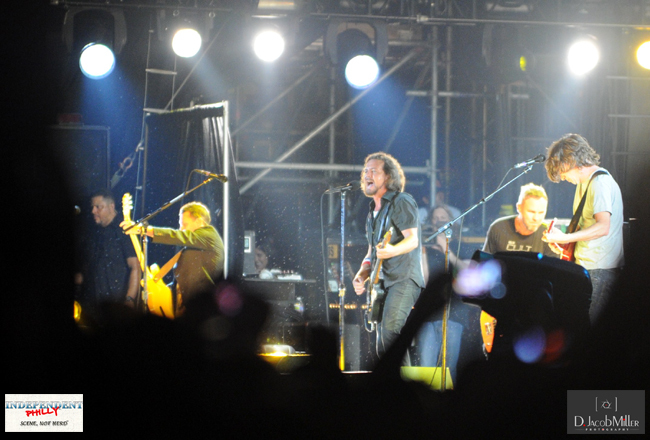 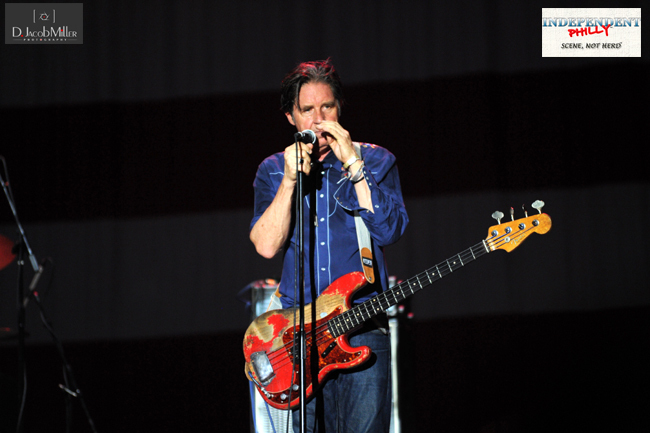 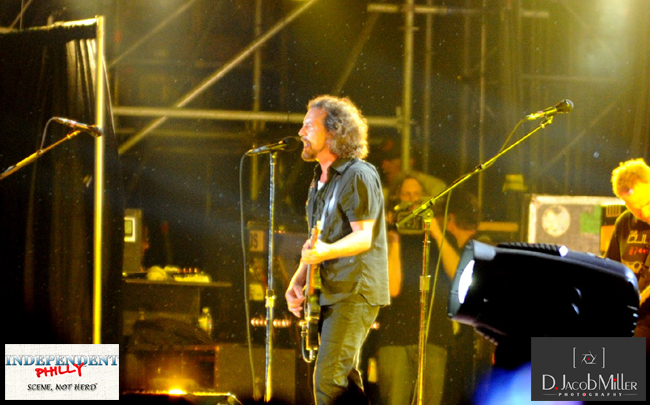 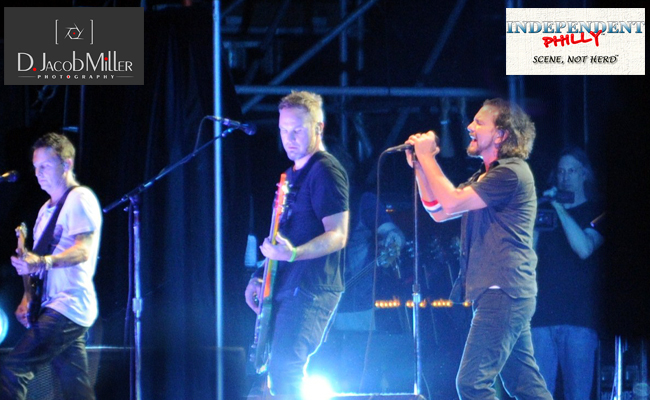 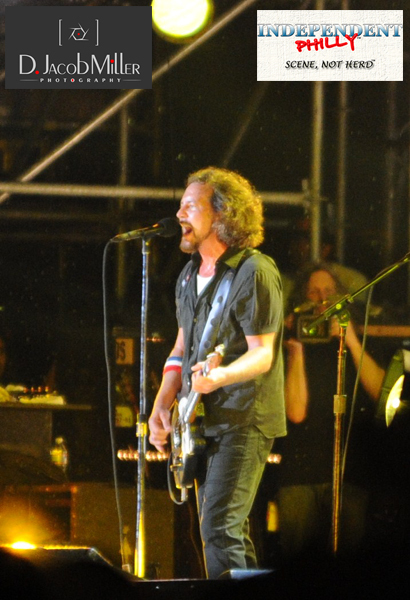 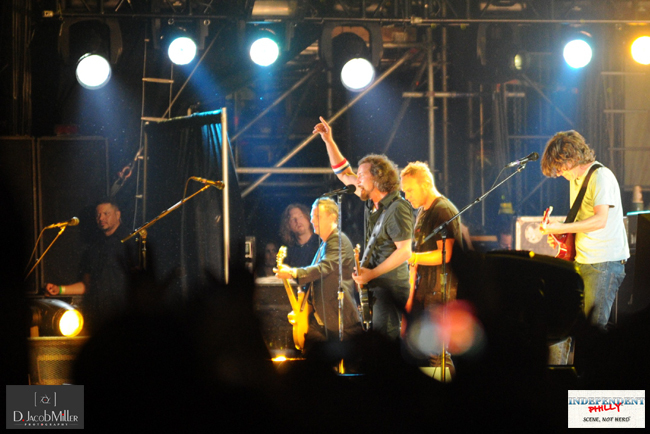 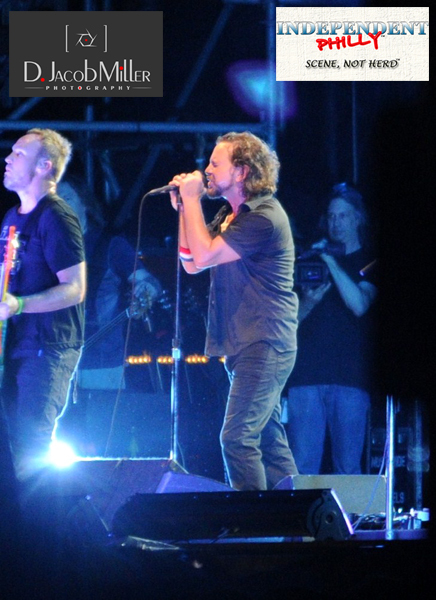 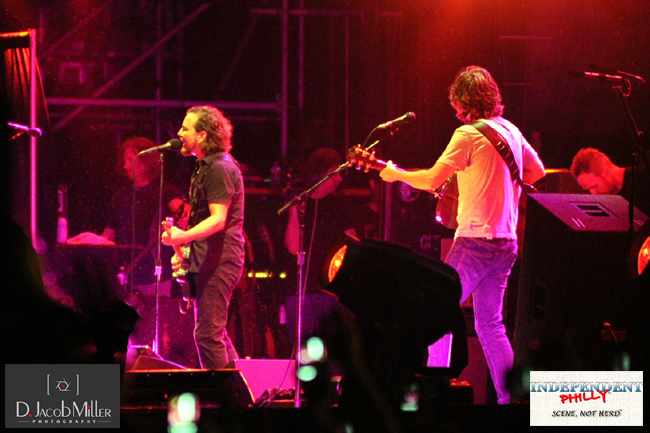 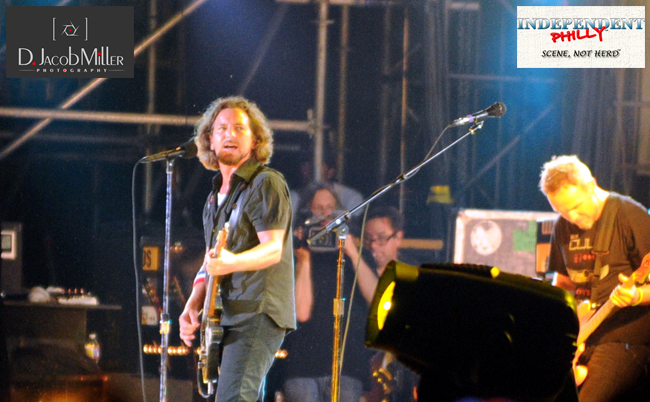 Belting out lyrics as a steady rain fell, Vedder had the crowd completely captivated. 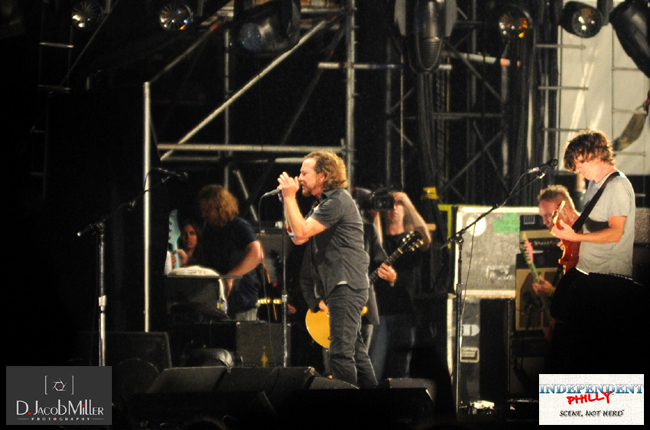 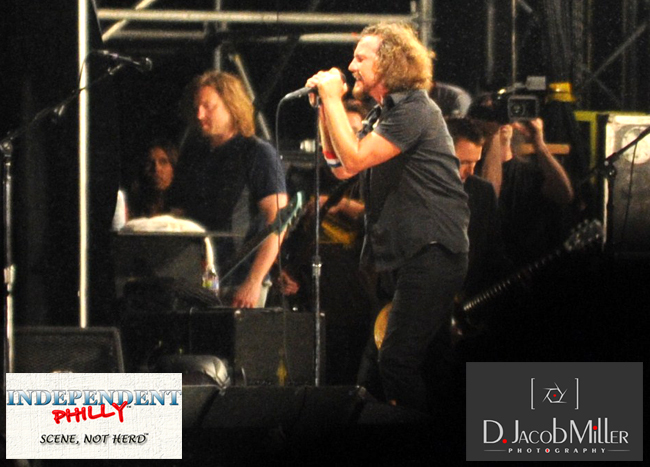 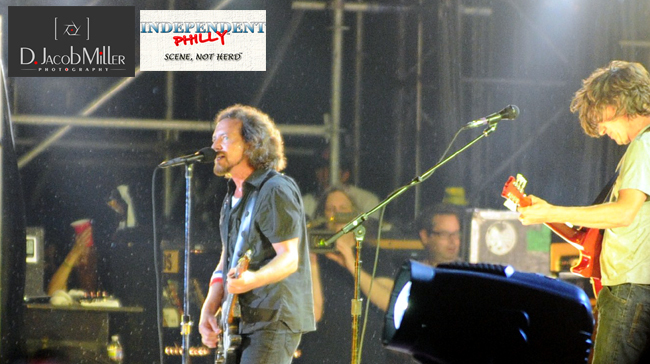 As icing on the cake, Jay Z hit the stage to perform his hit “99 Problems” with Pearl Jam as his backing band. 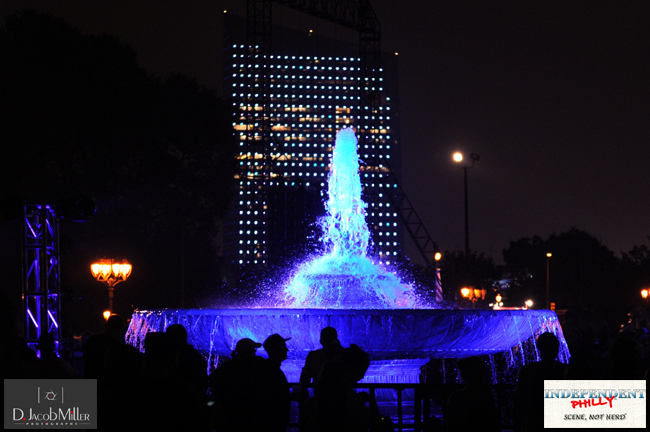 Kudos to Jay Z, Budweiser, the other performers, the fans, and the City of Philadelphia for two action packed days that will go down in Philadelphia music history. 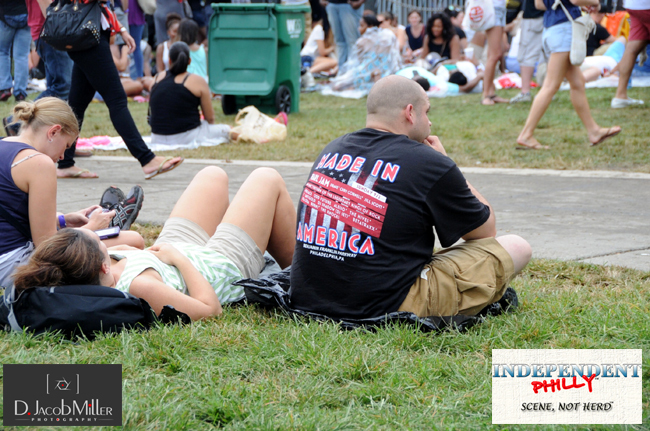 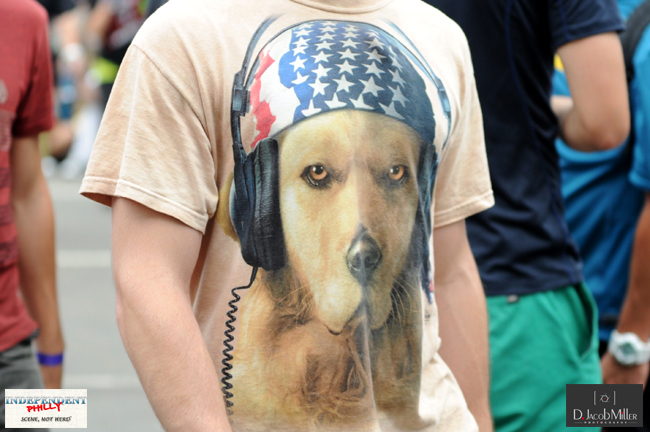 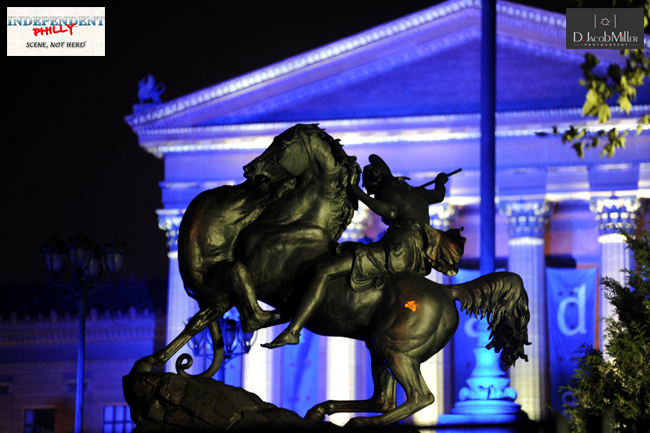 After all, countless things are Made in America, but America was made in Philadelphia.